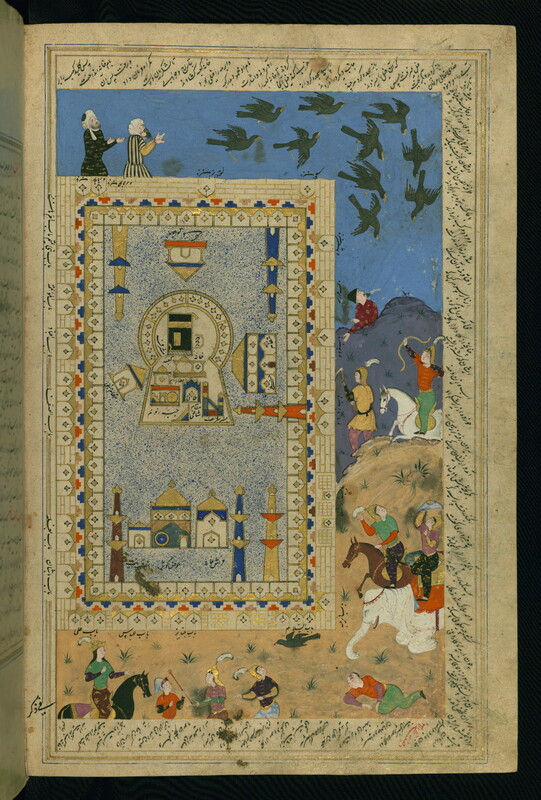 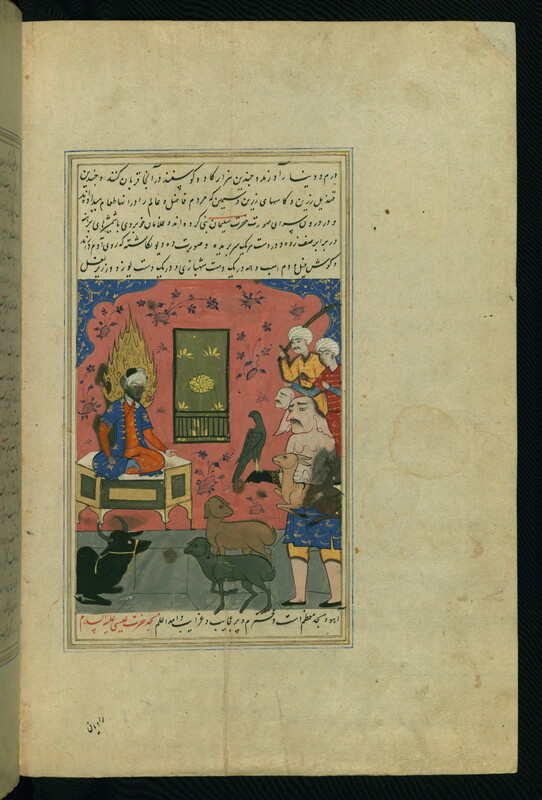 'Ajā'ib al-makhlūqāt wa gharā'ib al-mawjūdāt‛ ('Ajā'ib-Nāmeh). 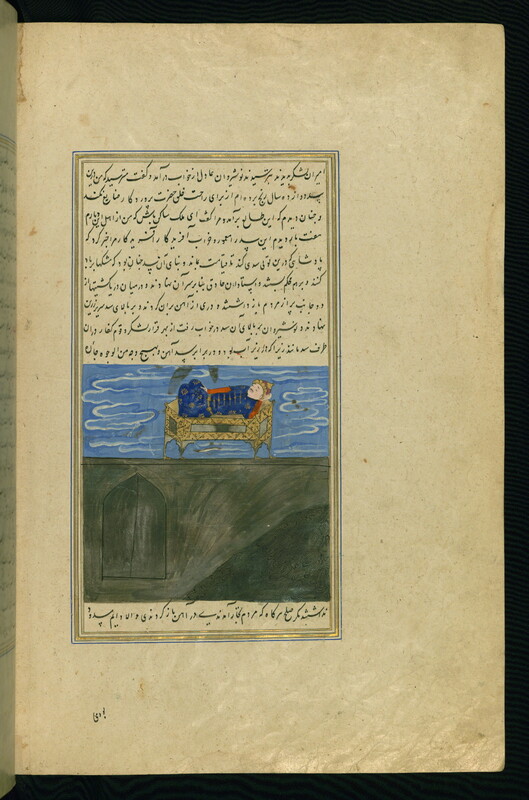 Muḥammad b. Maḥmūd b. Aḥmad Ṭūsī Salmānī. 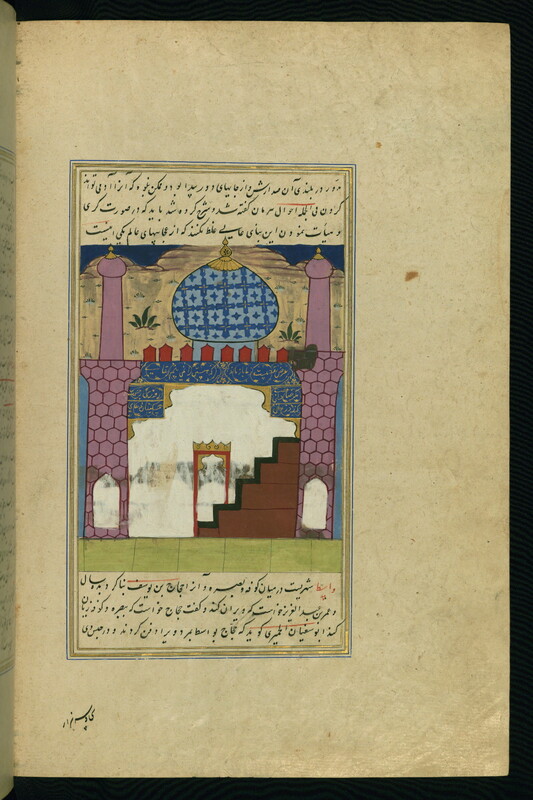 Ms. Supplément Persan 332. 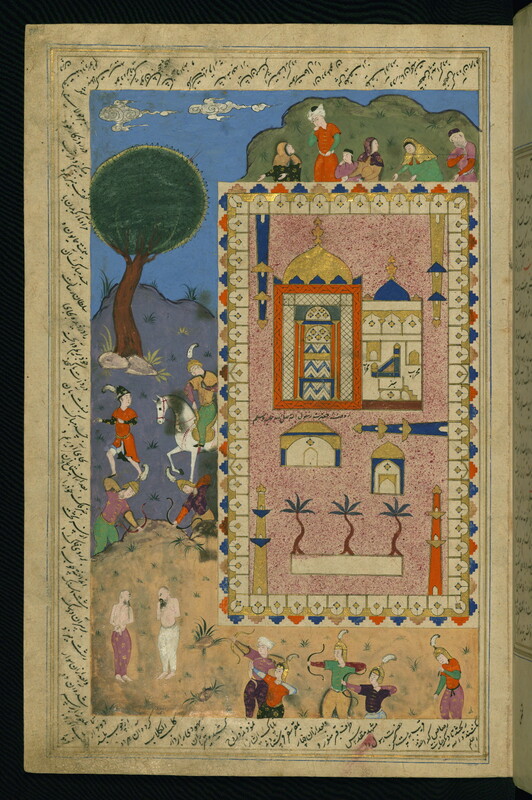 BnF, folio 21v. 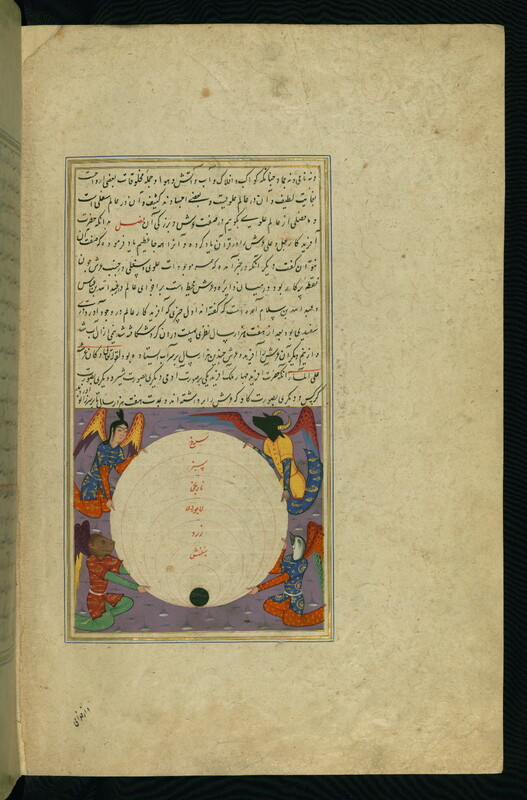 Note: The author's name is given in the roundels on fols. 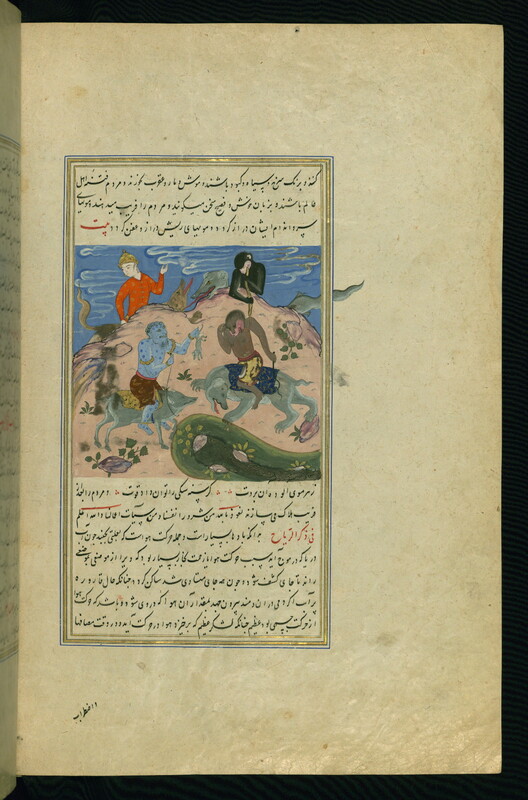 1a and 3b. 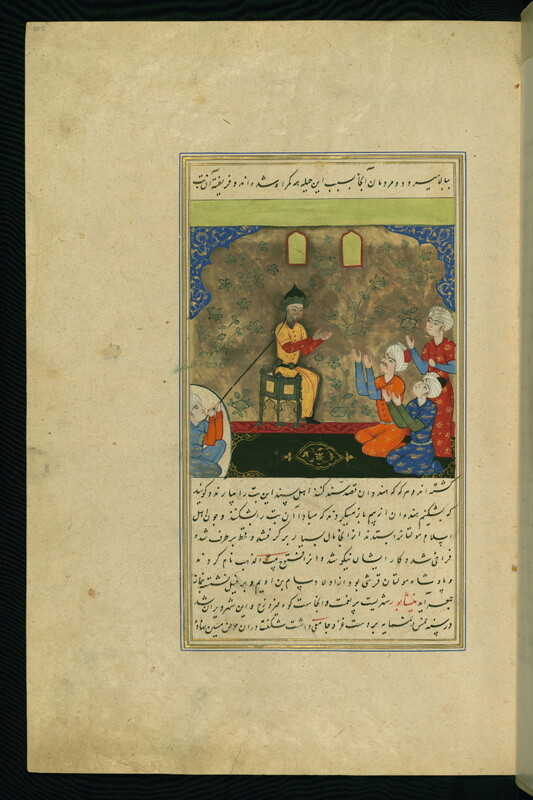 He lived in the sixth century/ twelfth century. 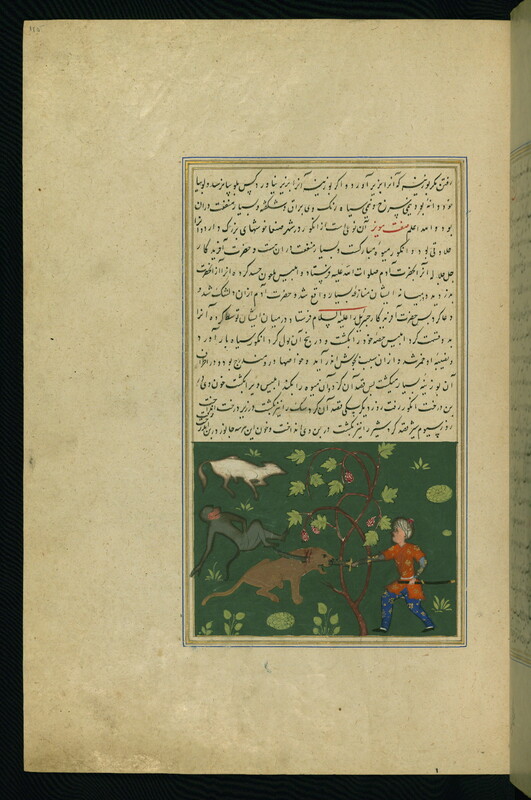 my comment: This information contradicts the one given in the following description of the content of the manuscript. 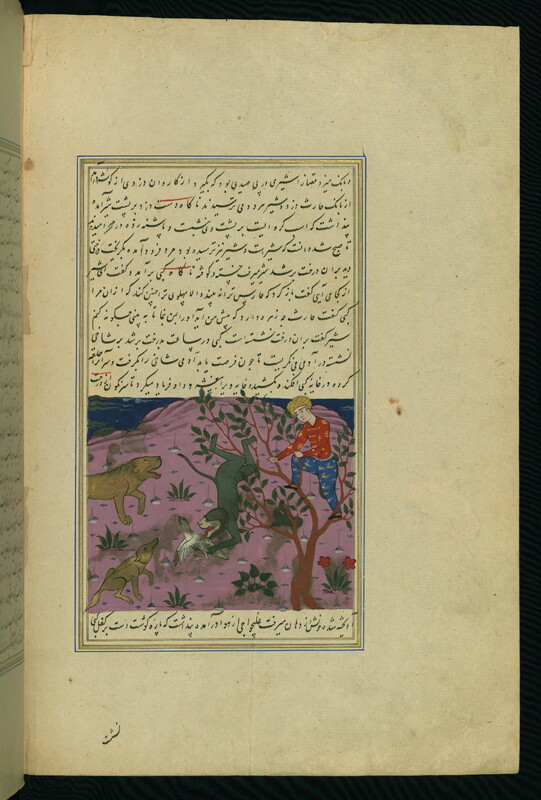 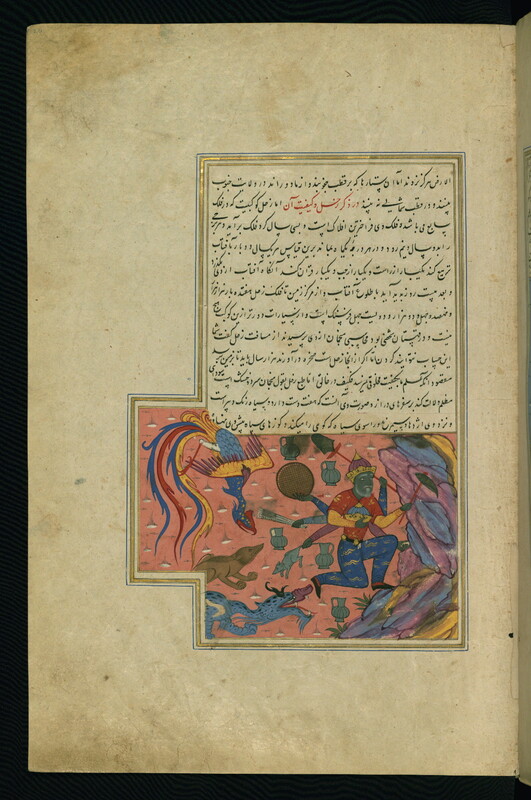 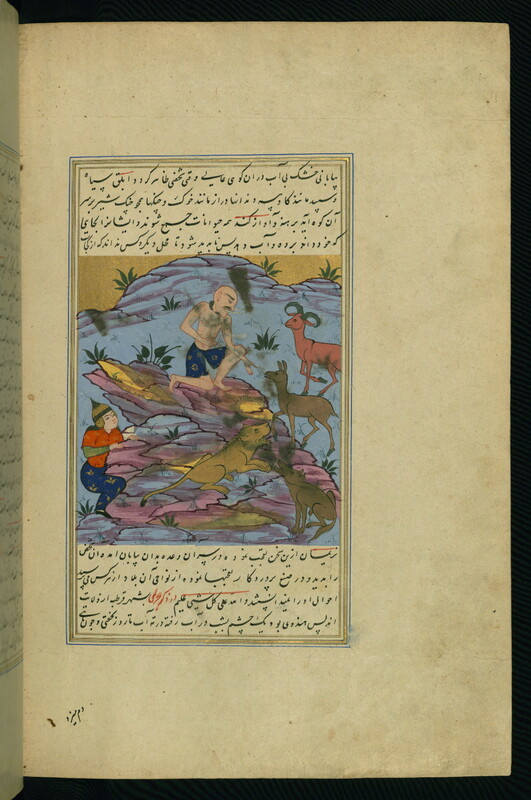 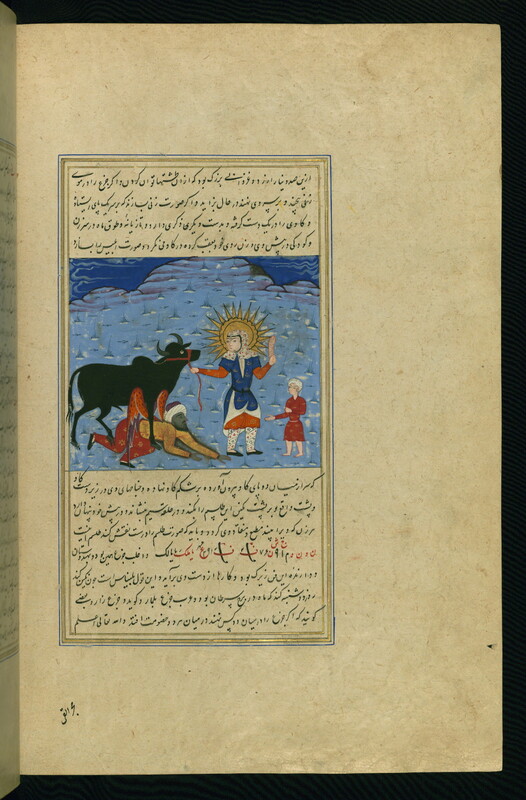 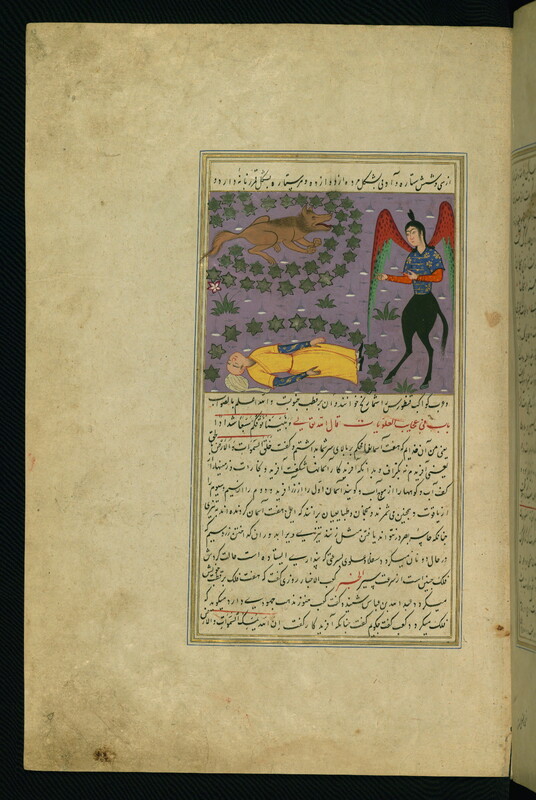 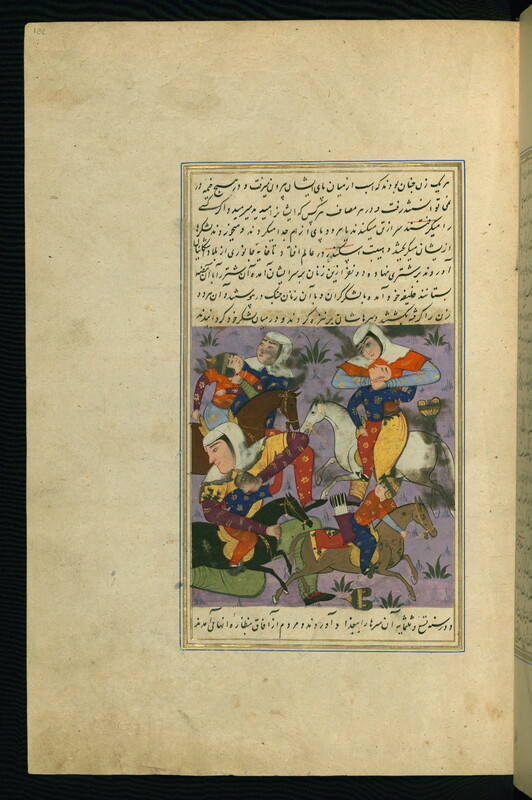 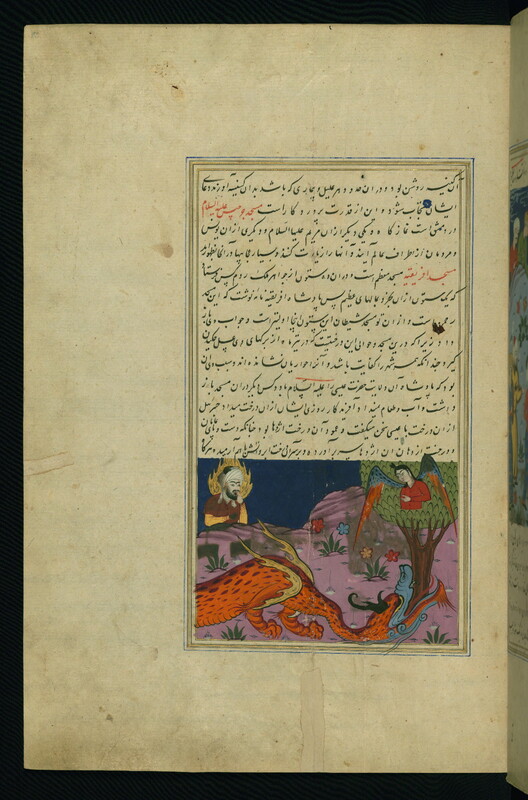 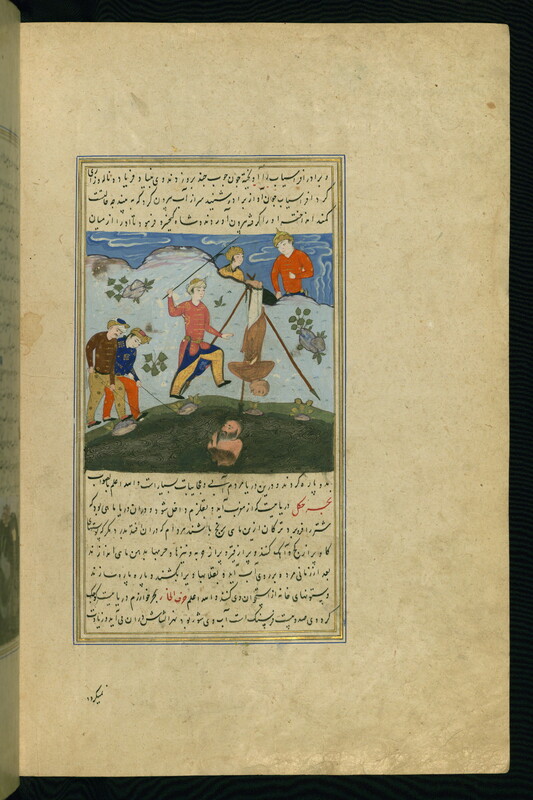 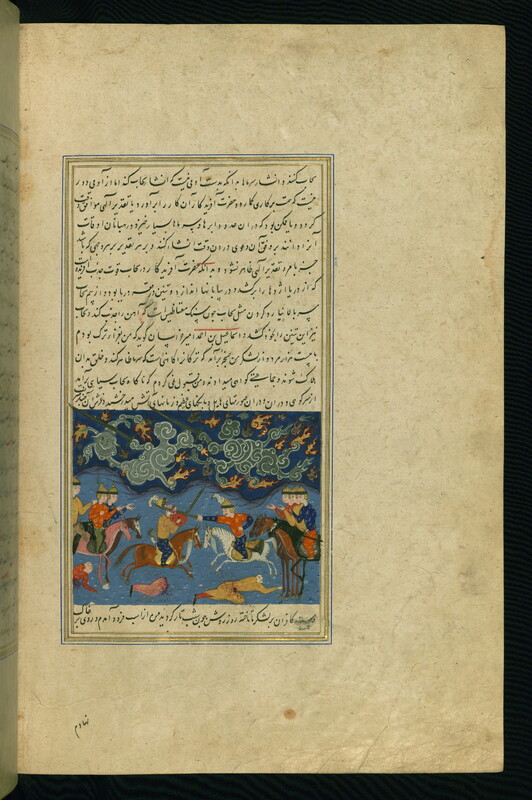 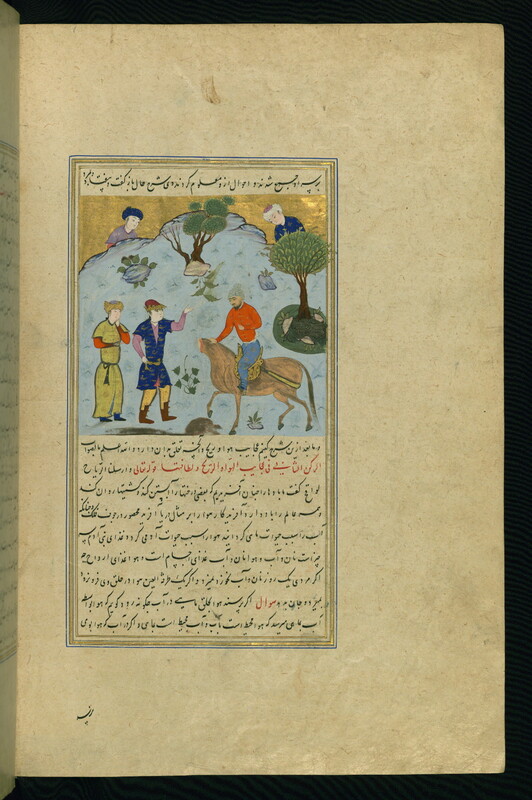 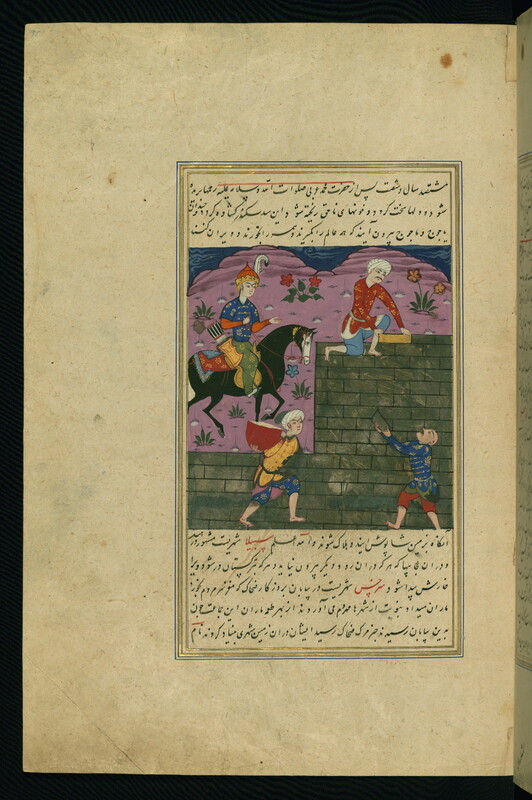 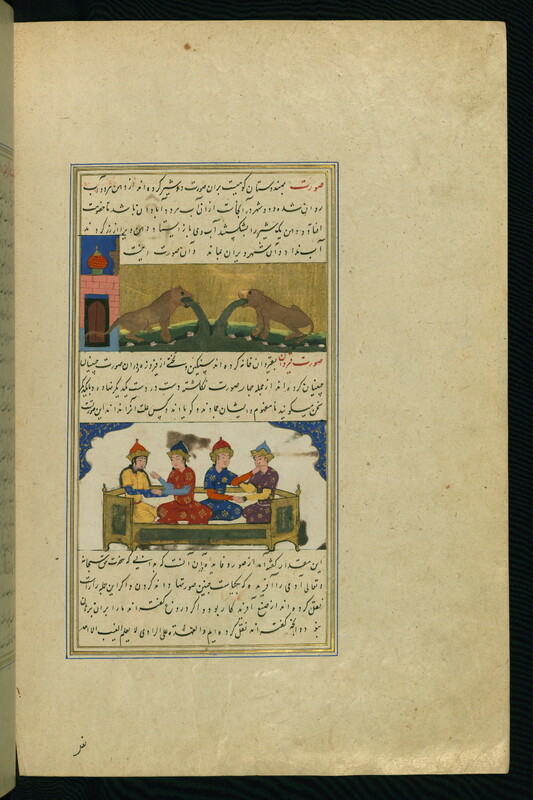 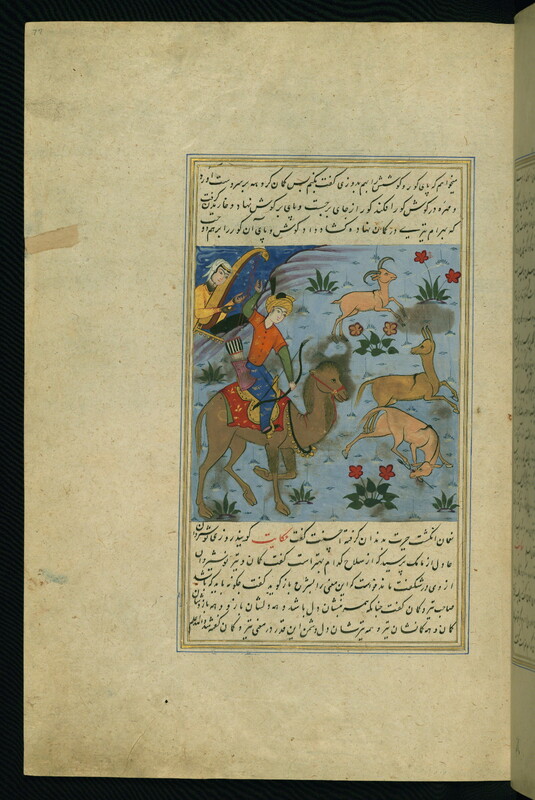 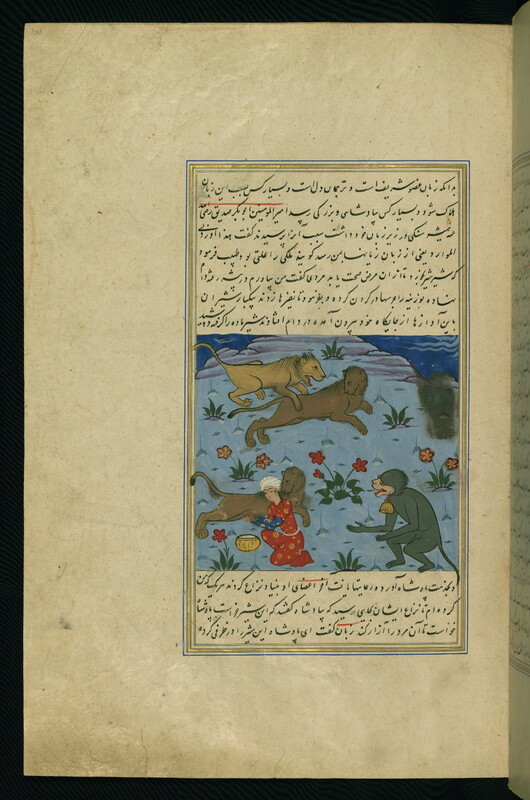 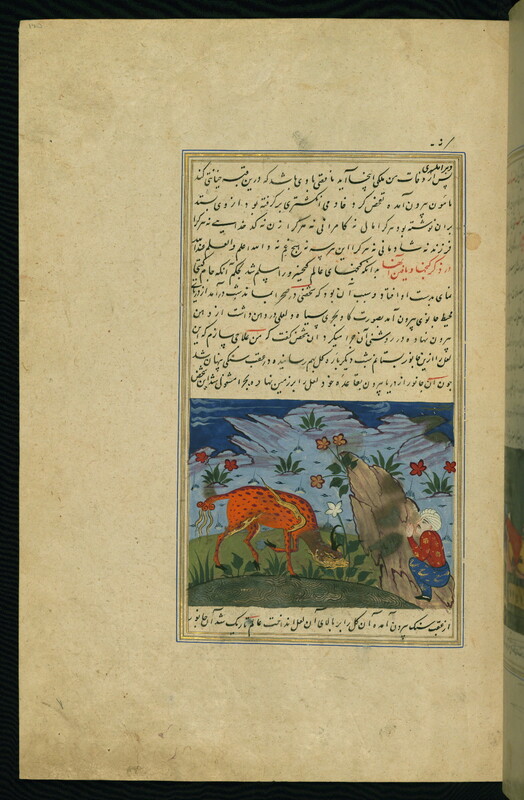 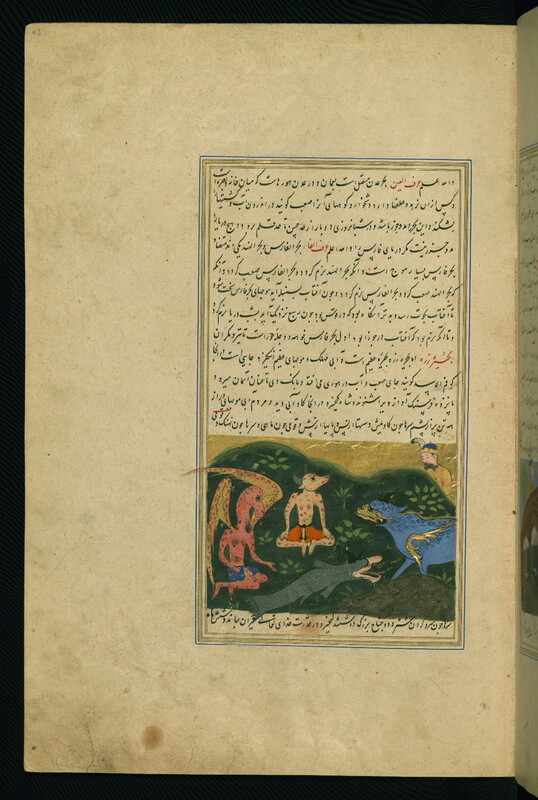 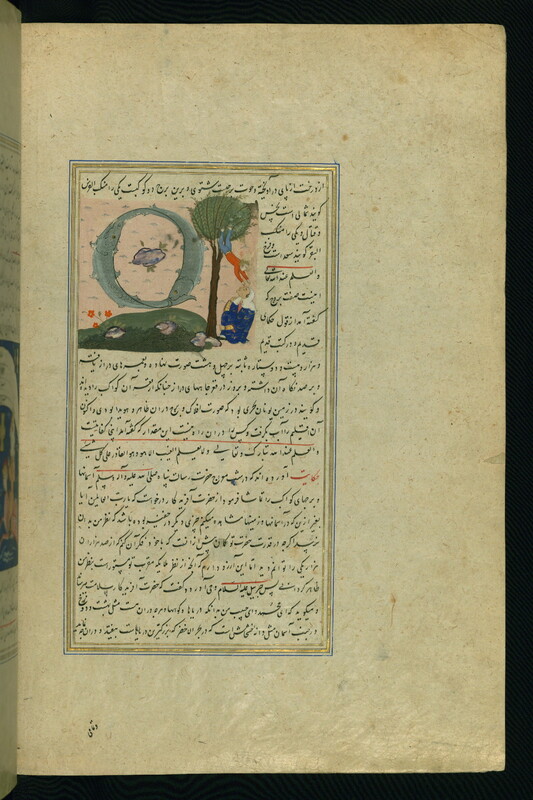 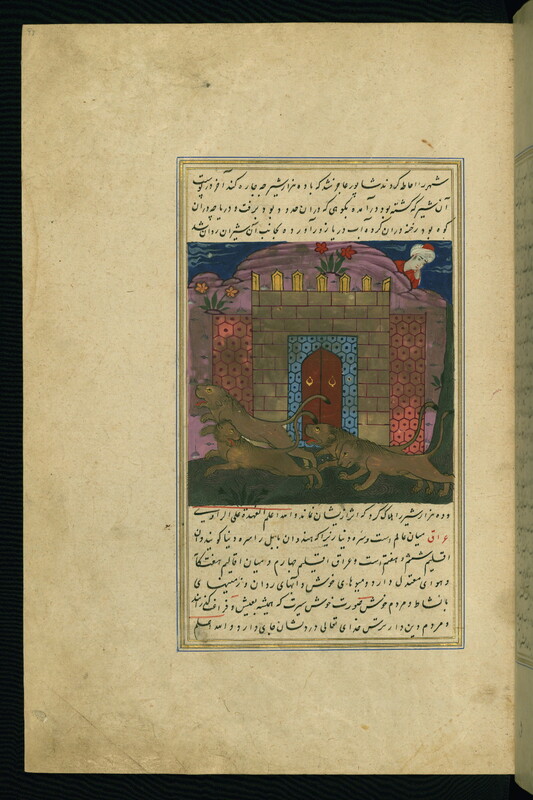 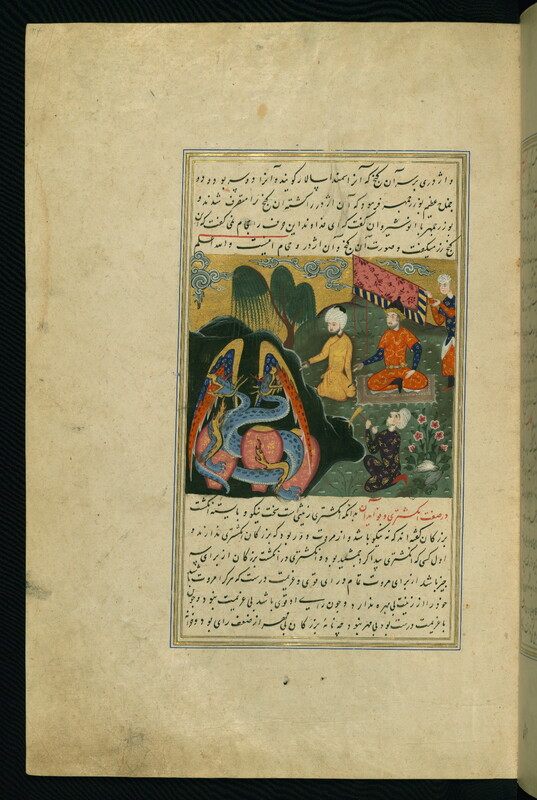 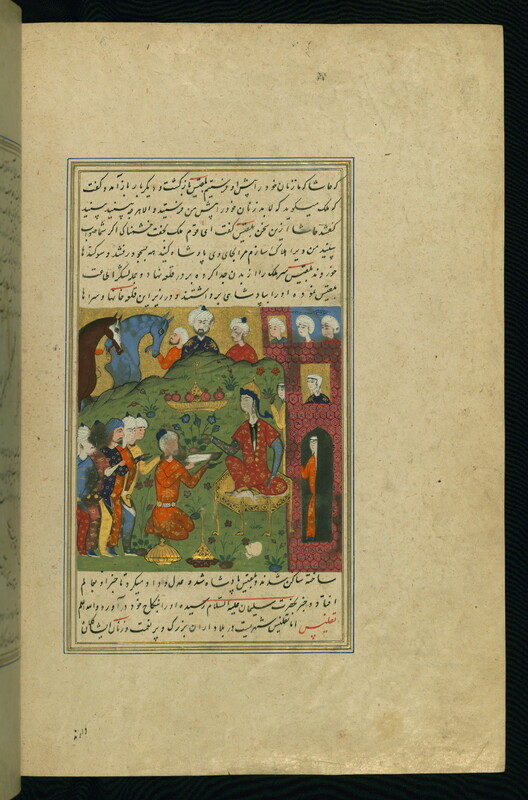 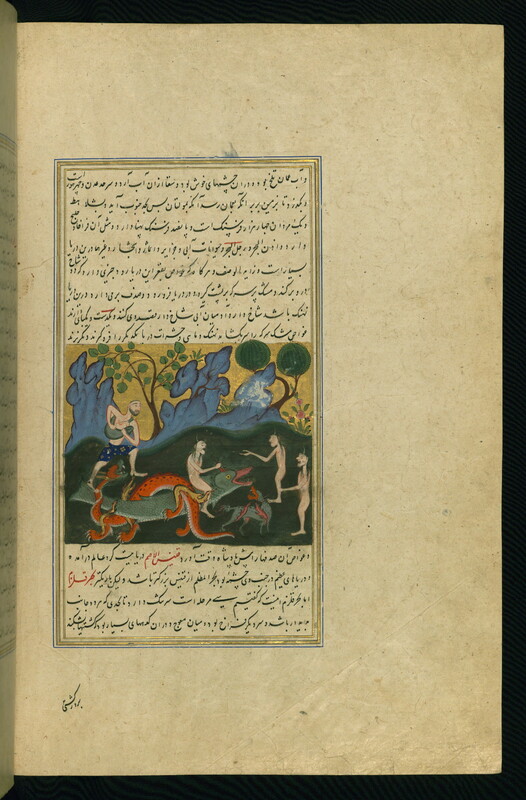 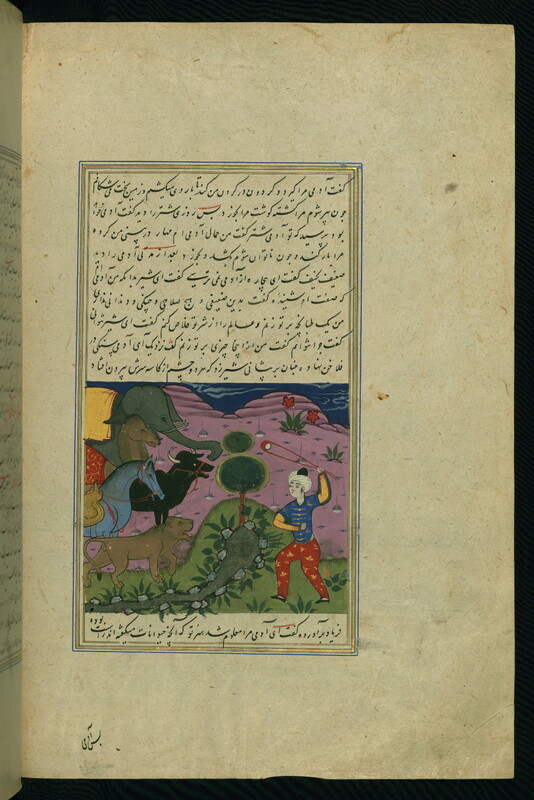 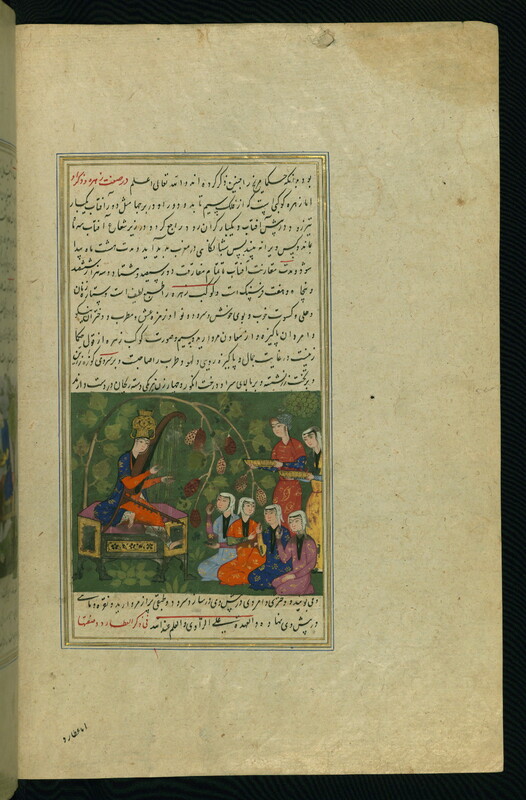 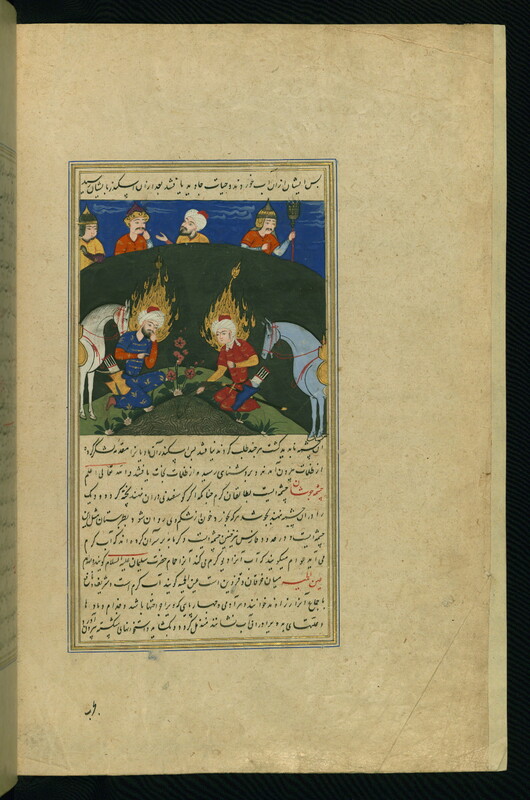 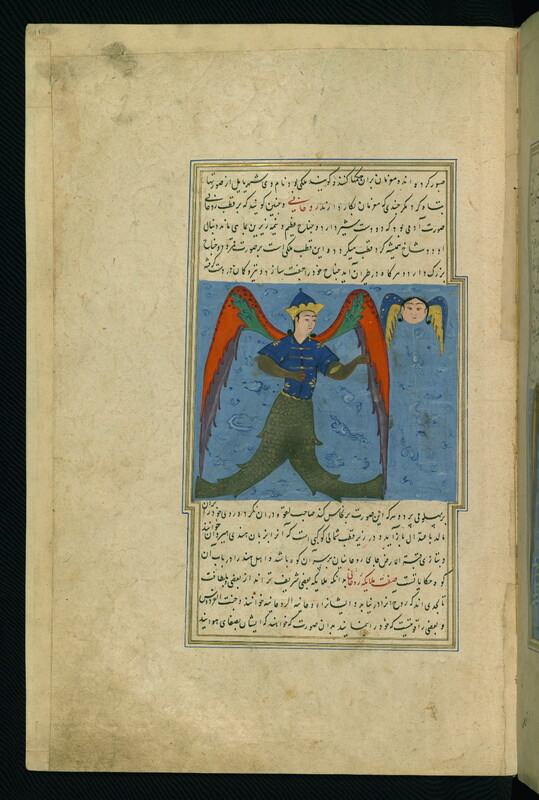 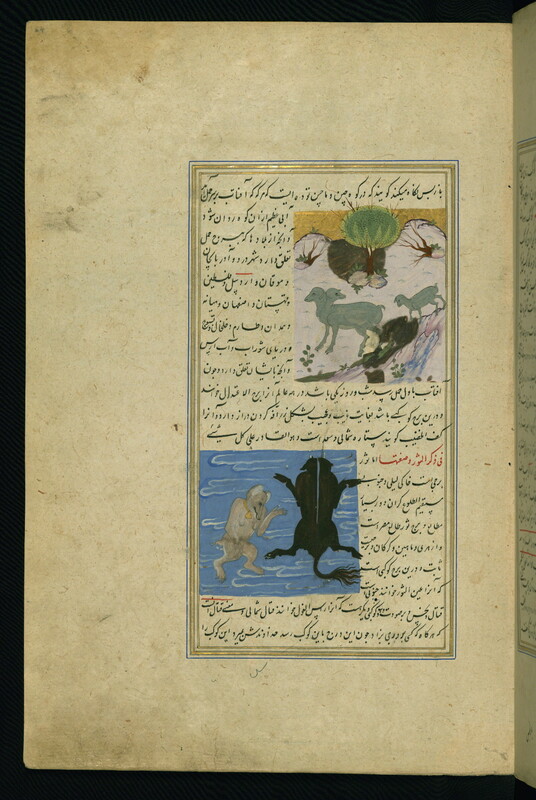 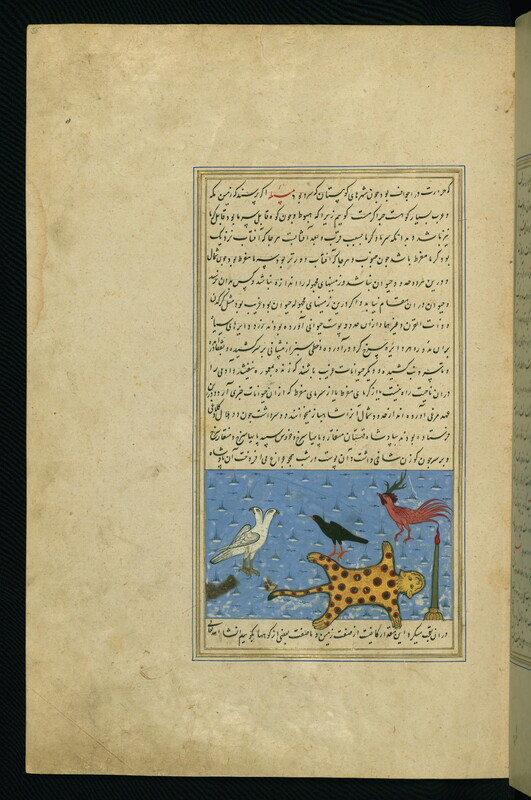 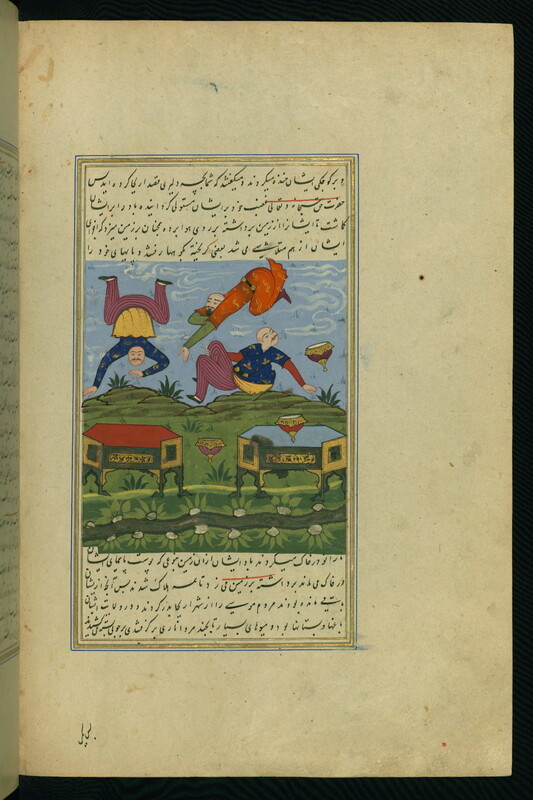 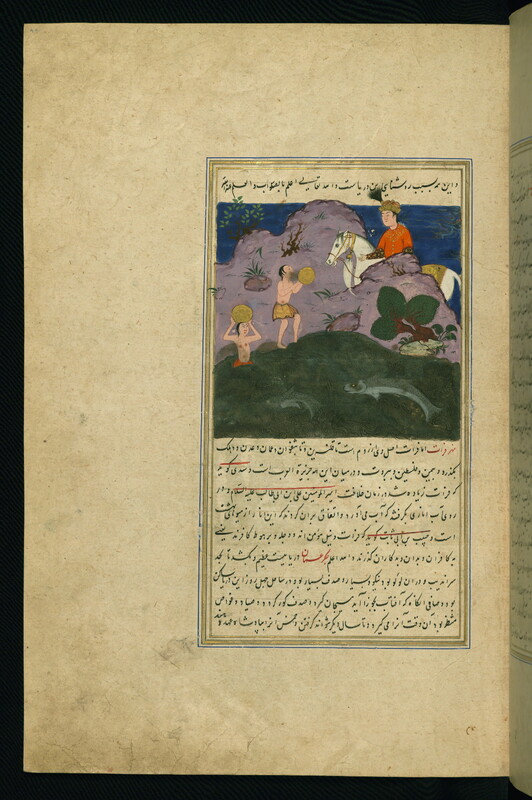 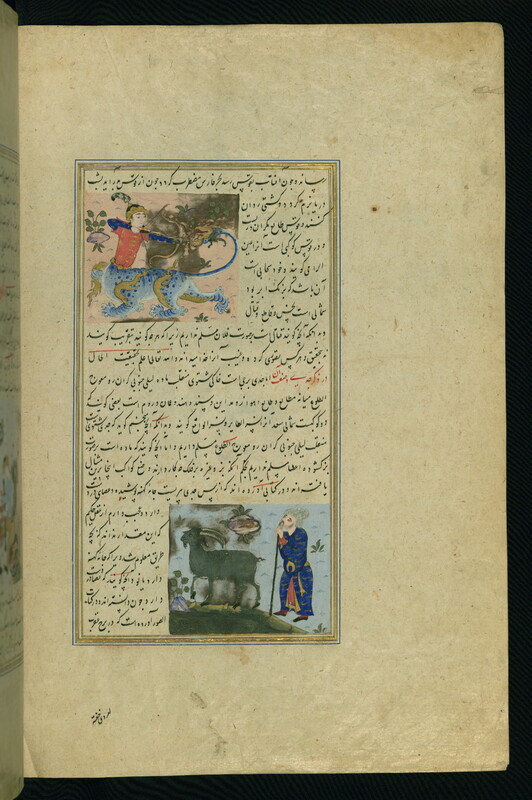 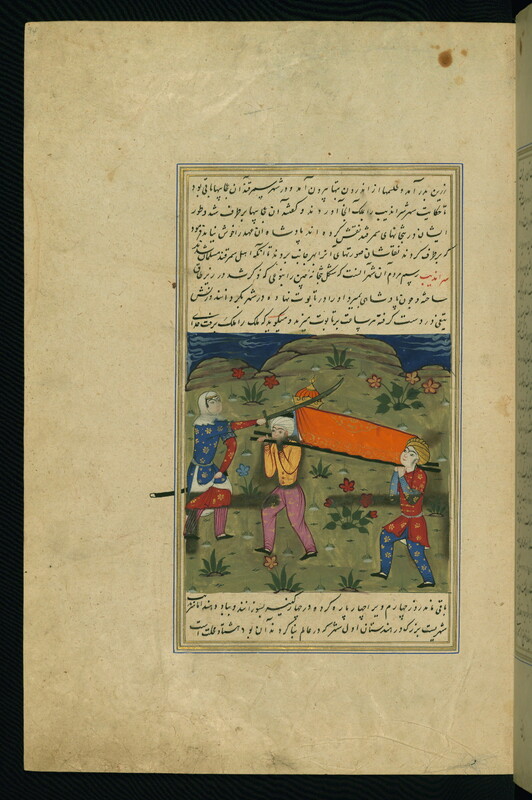 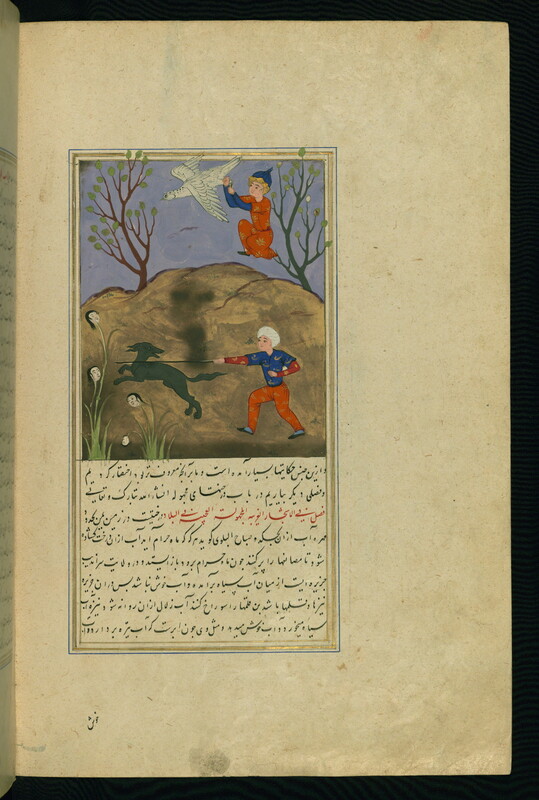 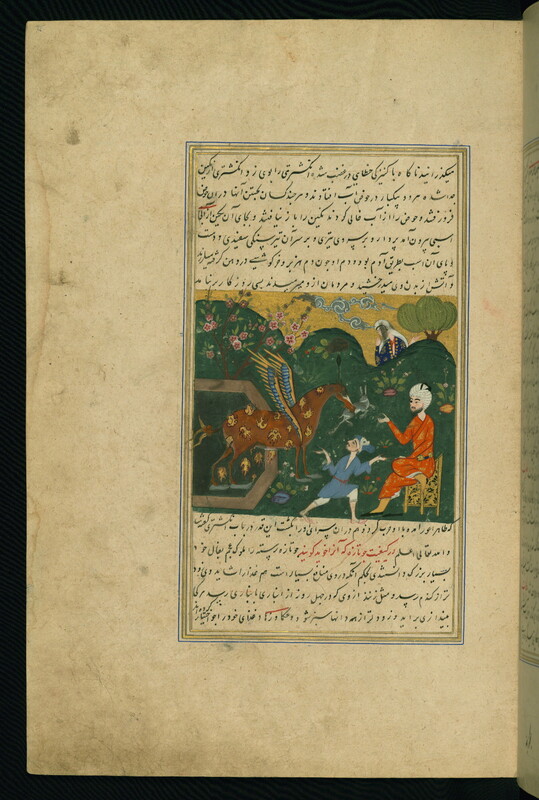 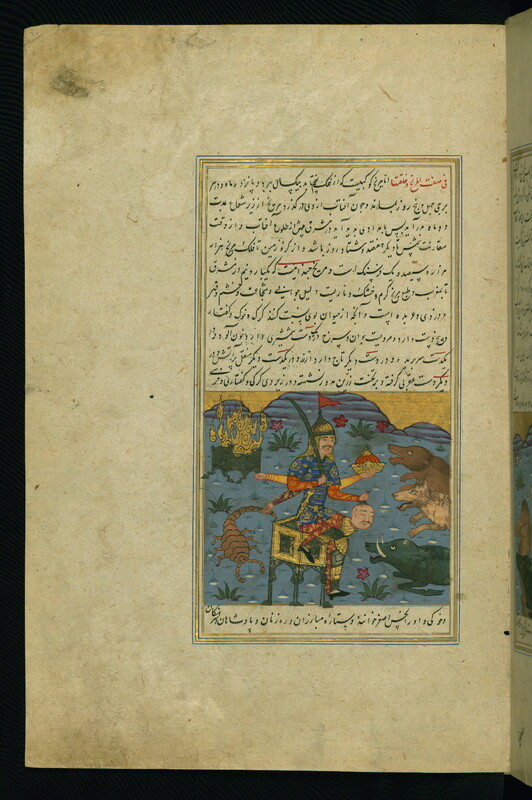 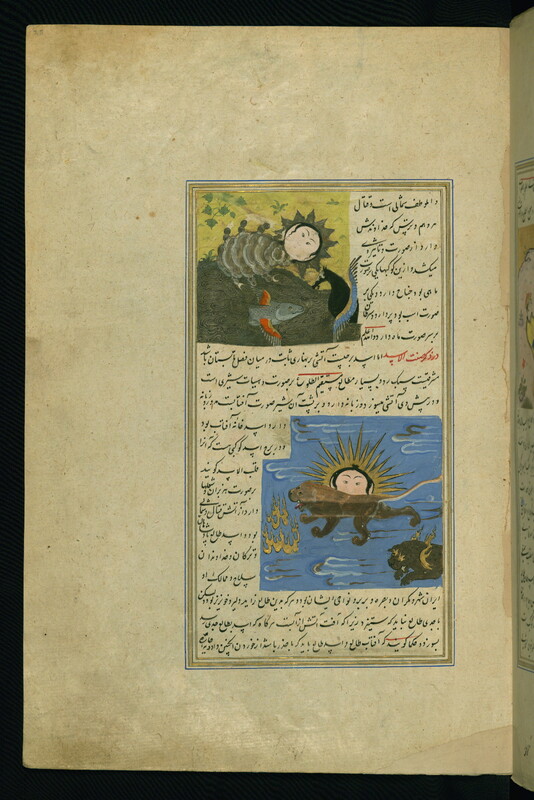 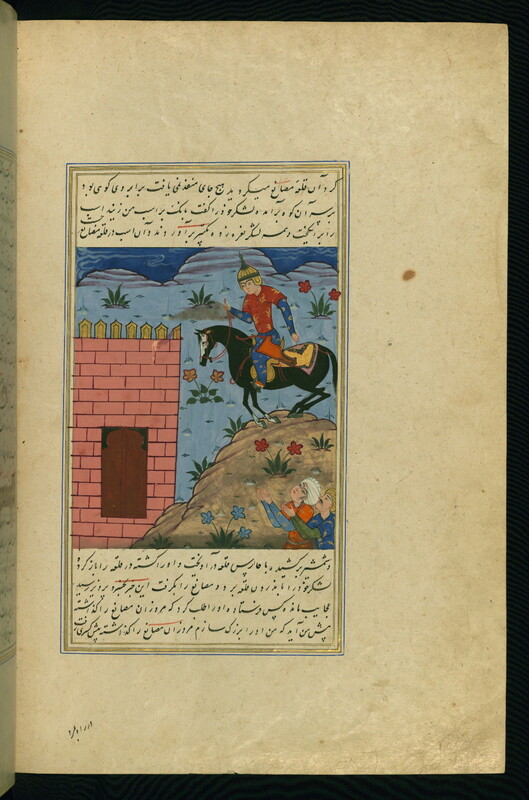 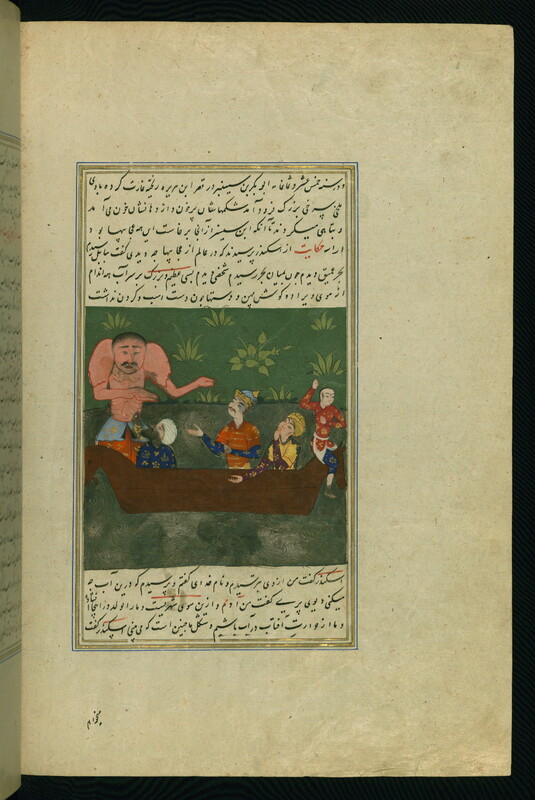 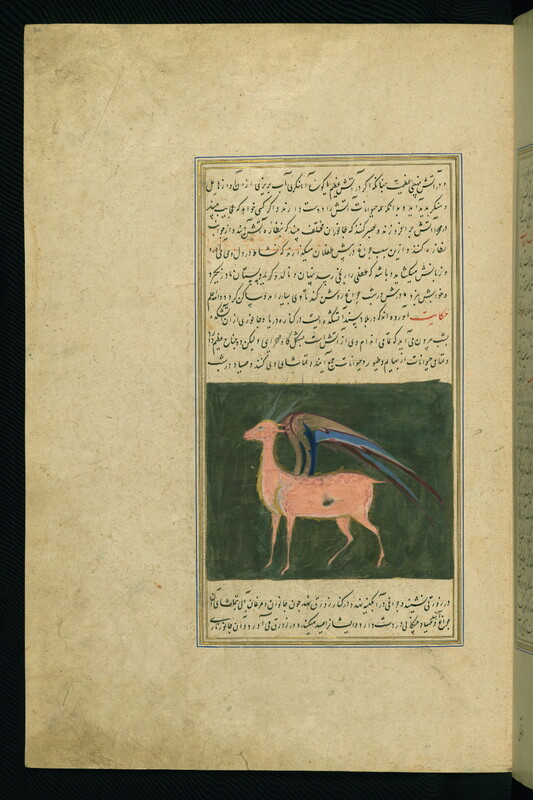 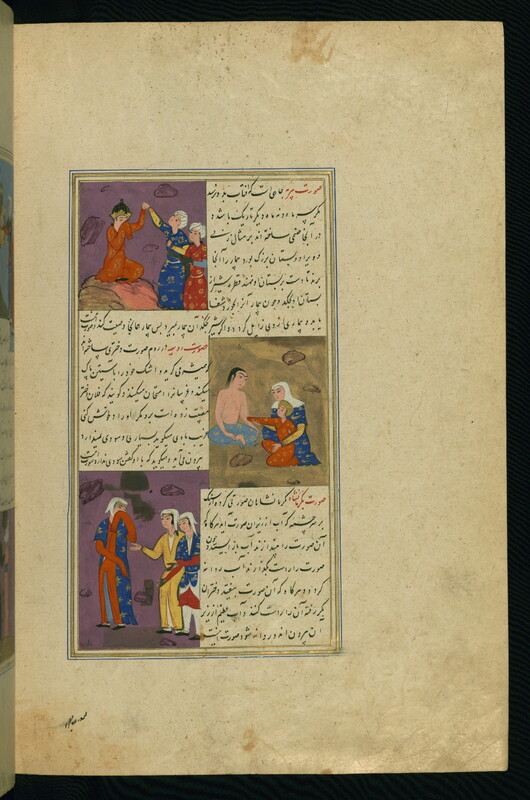 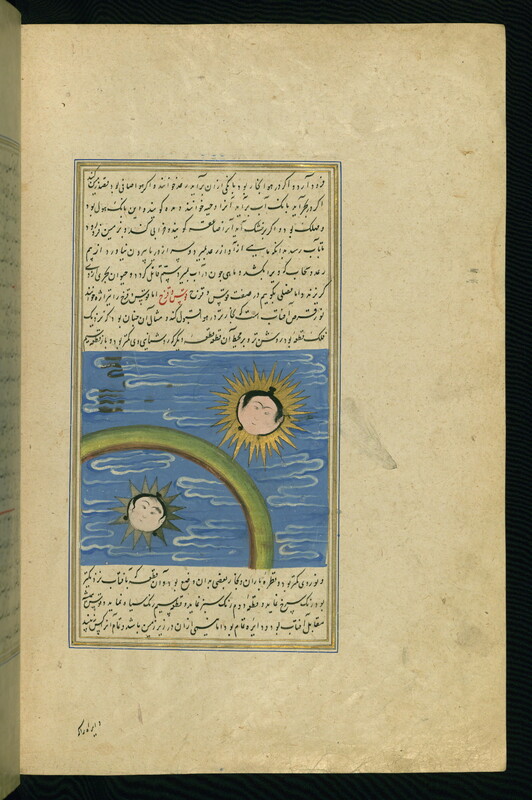 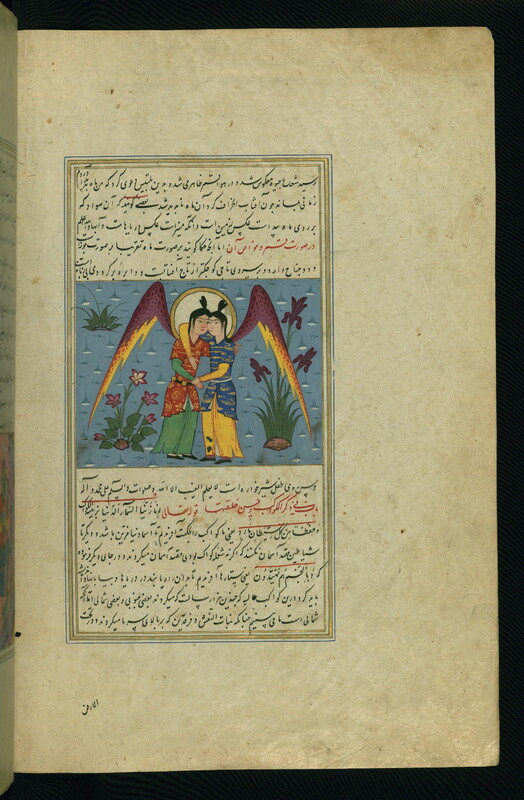 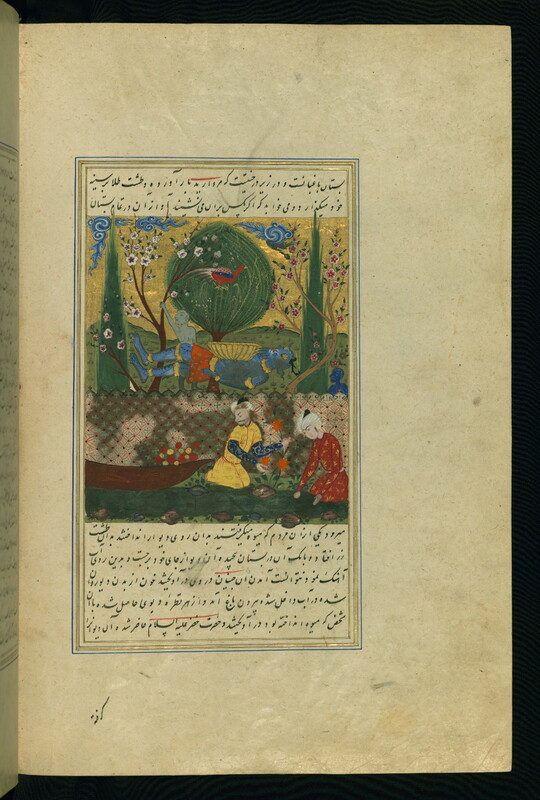 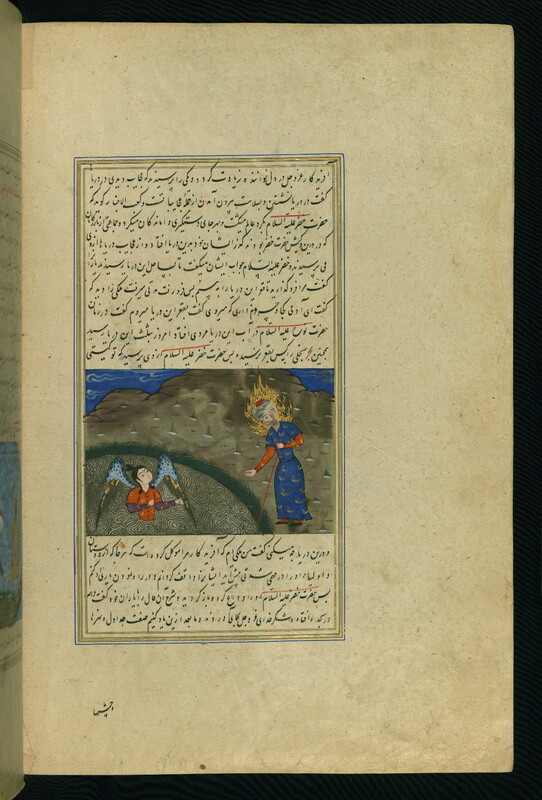 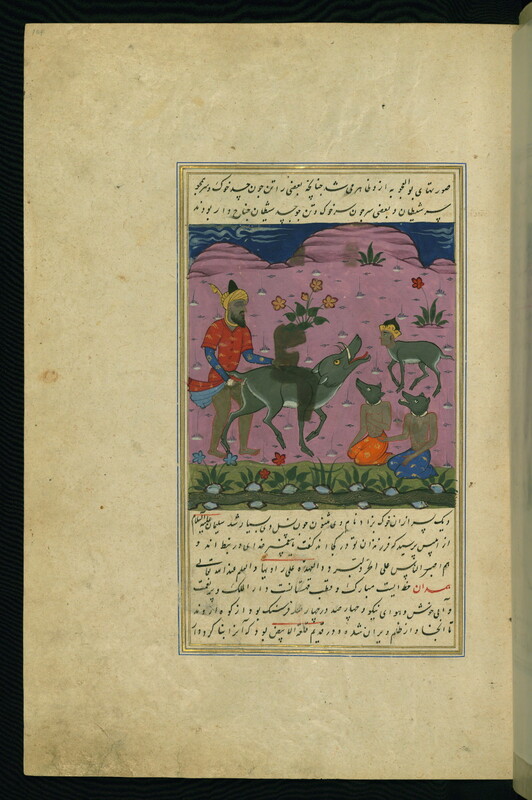 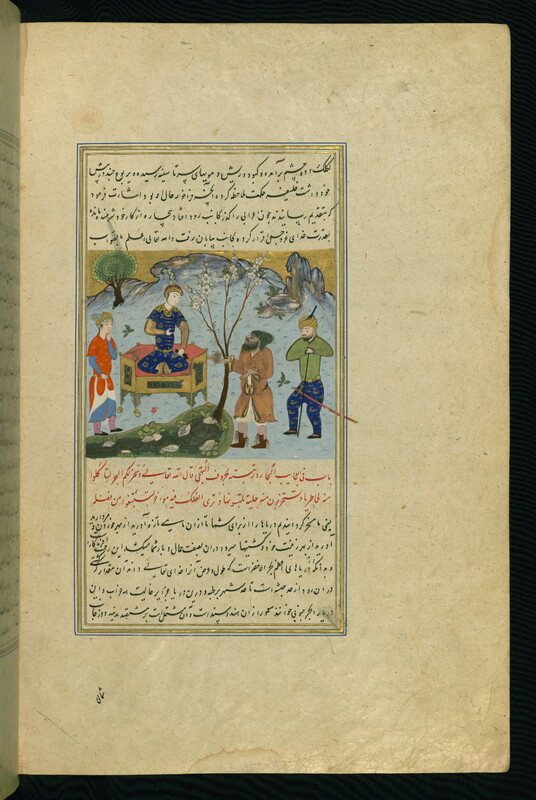 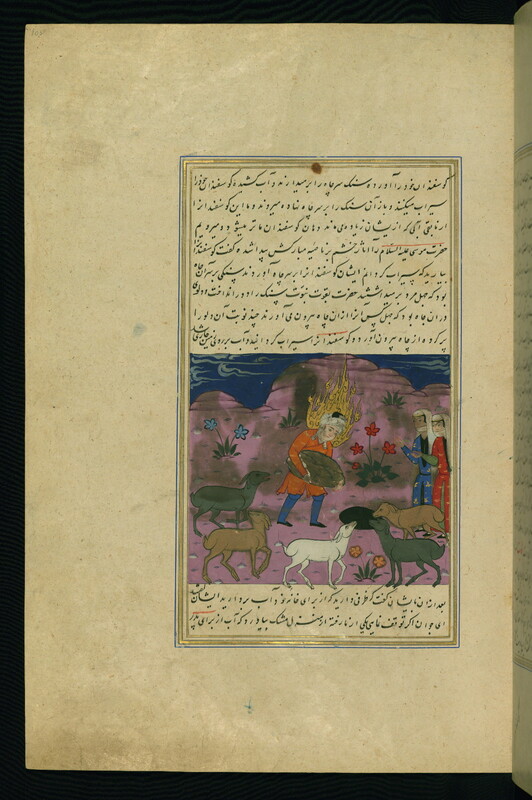 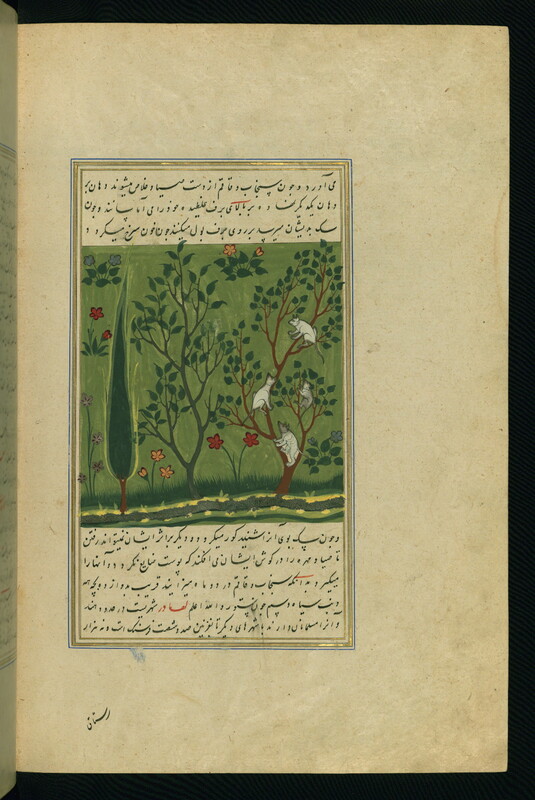 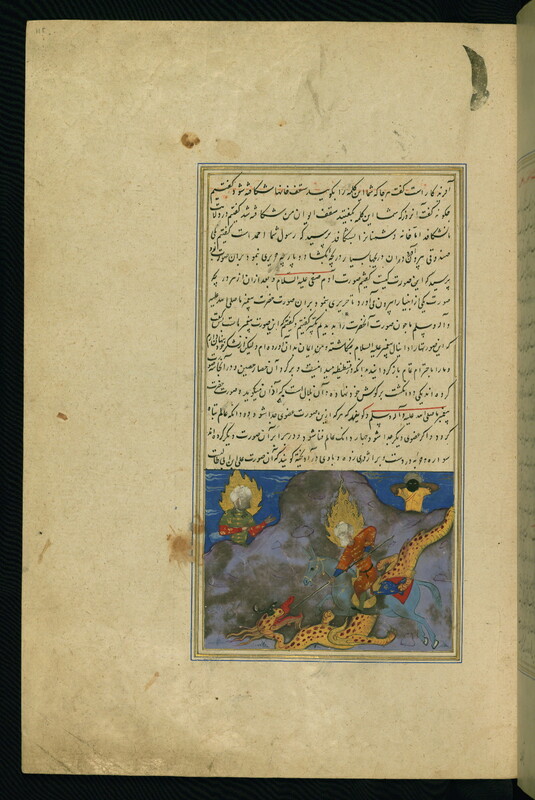 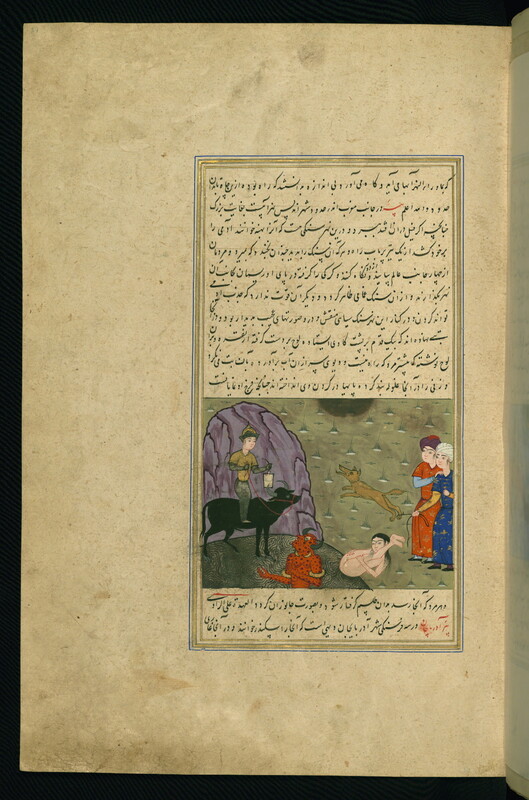 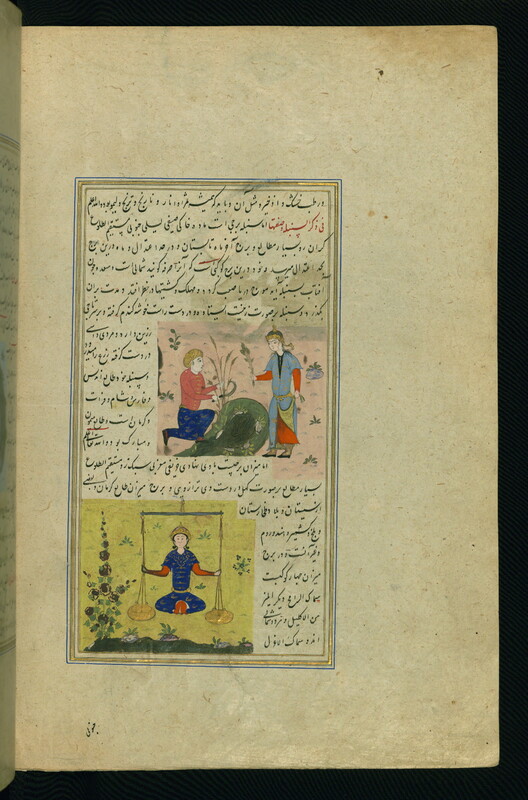 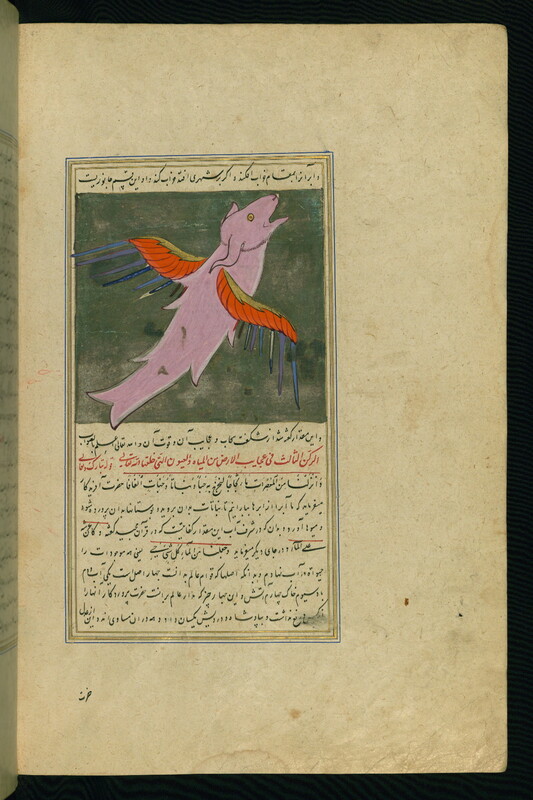 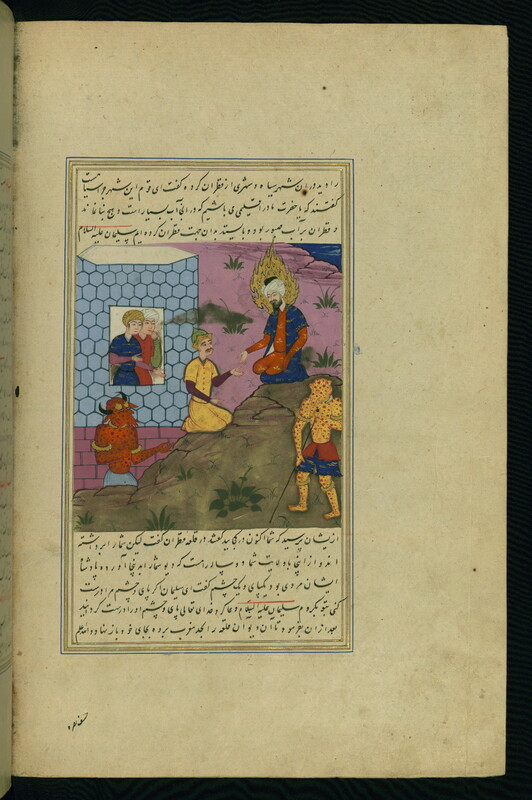 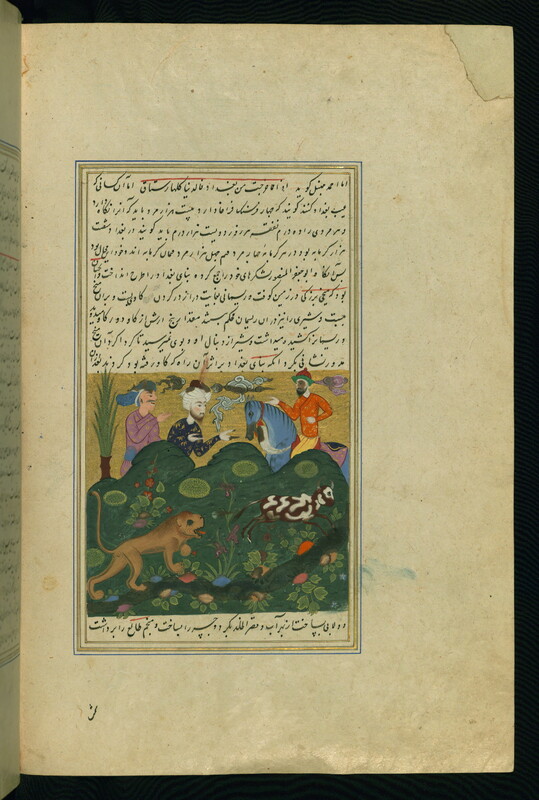 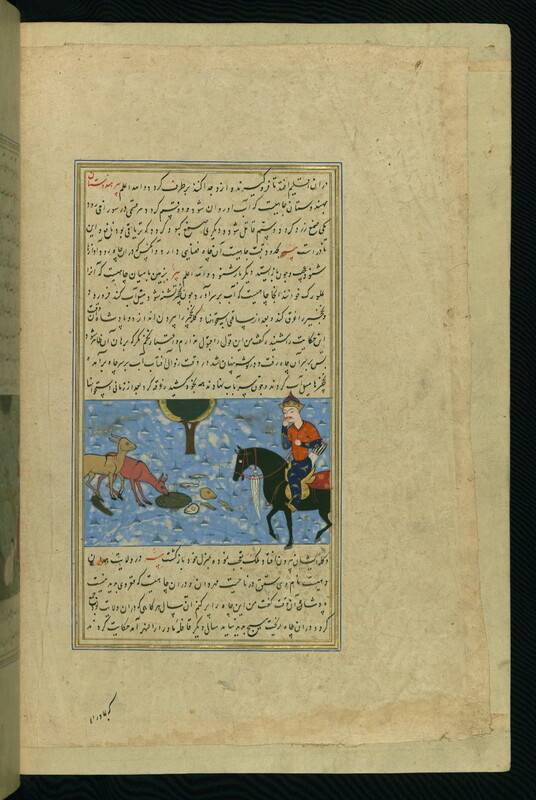 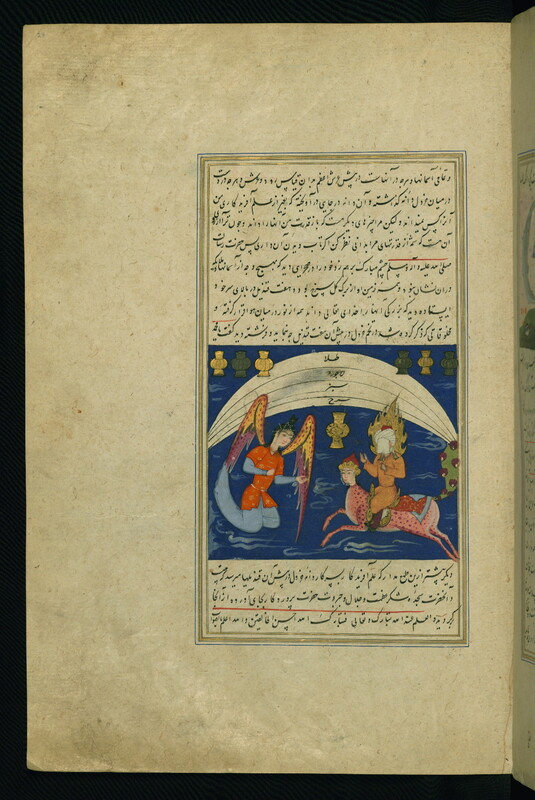 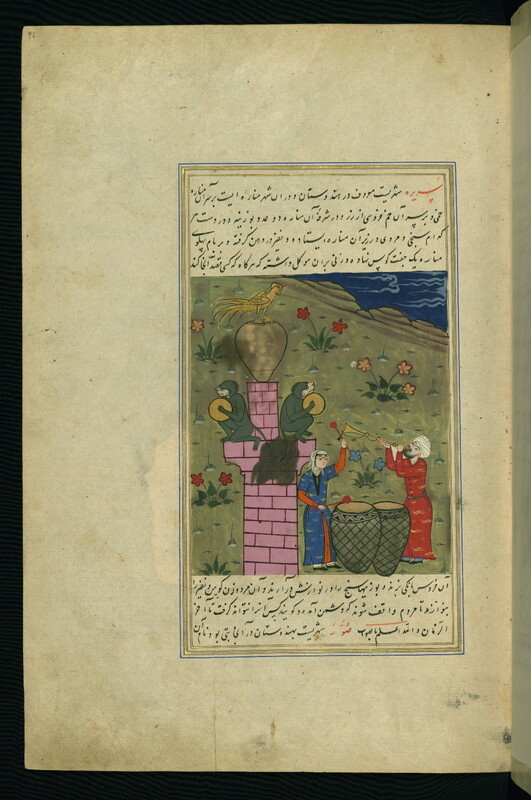 This is an illuminated and illustrated copy of a Persian version of the famous ʿAjā’ib al-makhlūqāt (Wonders of creation) by Zakariyāʾ al-Qazwīnī (d. 682 AH / 1283 CE), composed by Shams al-Dīn Muḥammad al-Ṭūsī (fl. 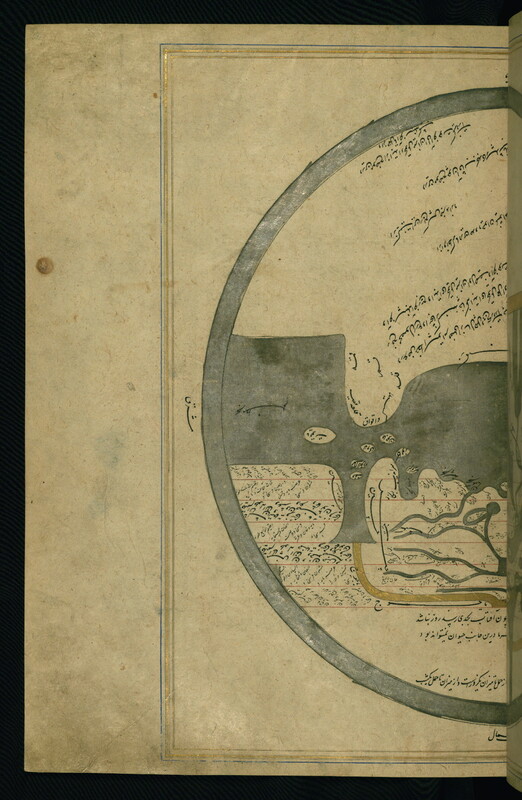 sixth century AH / twelfth CE). 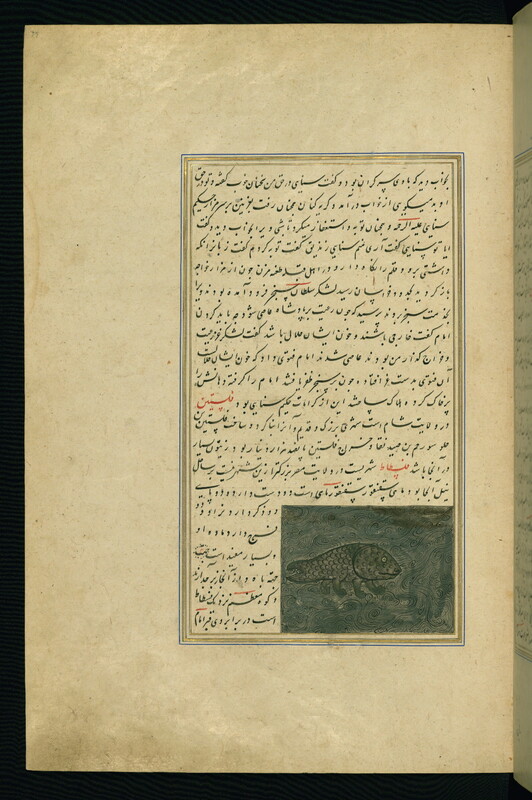 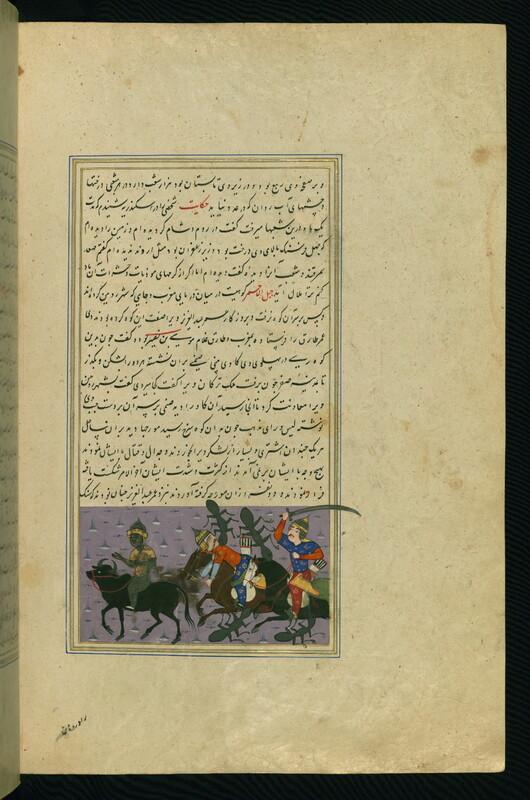 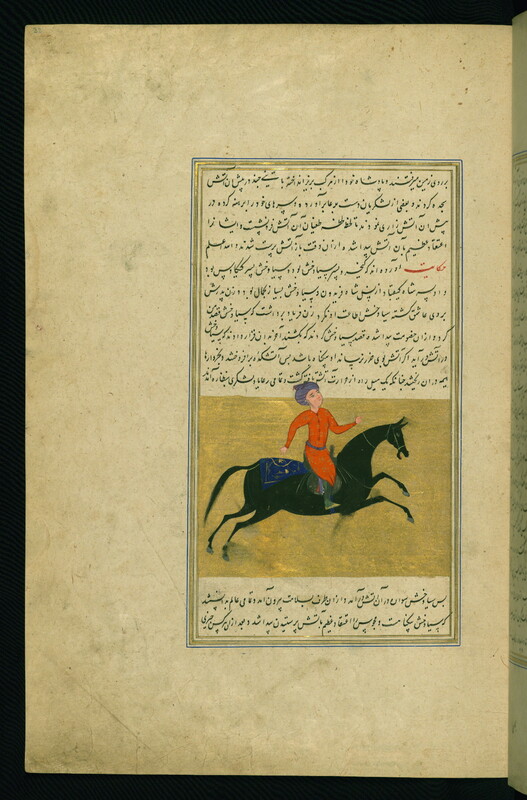 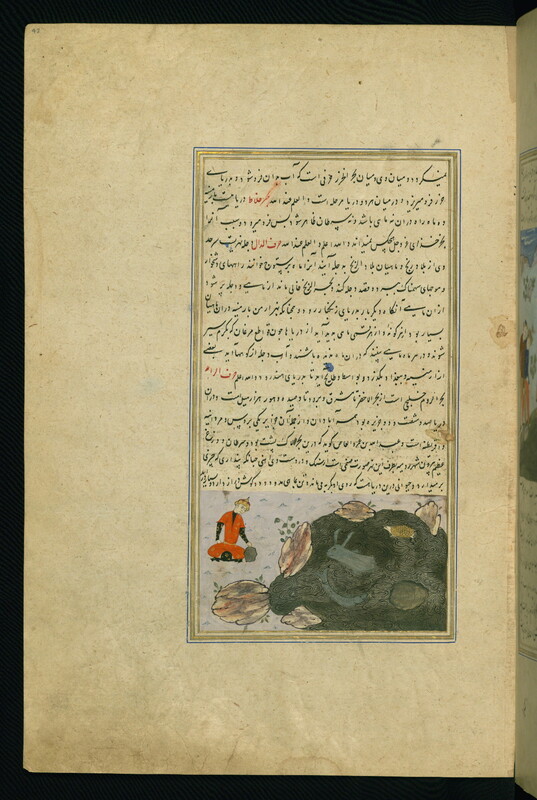 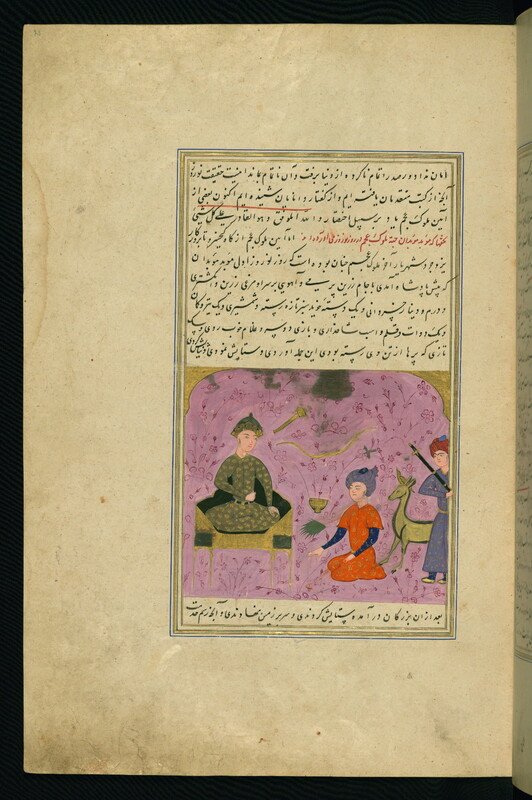 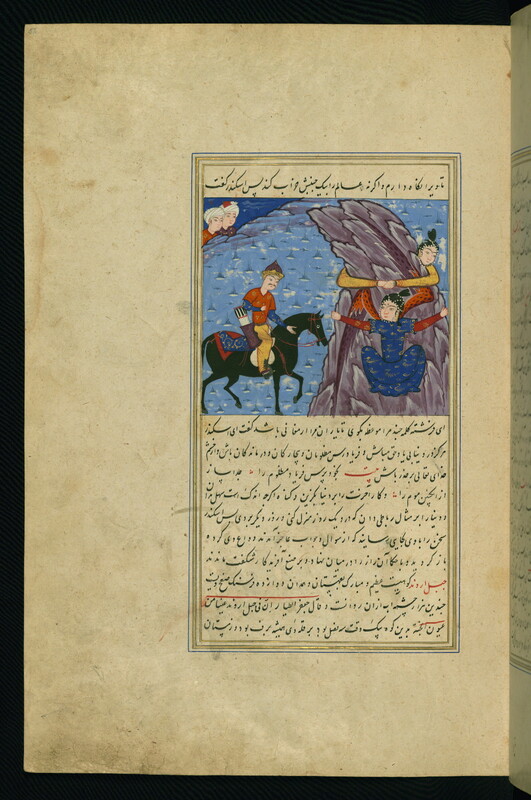 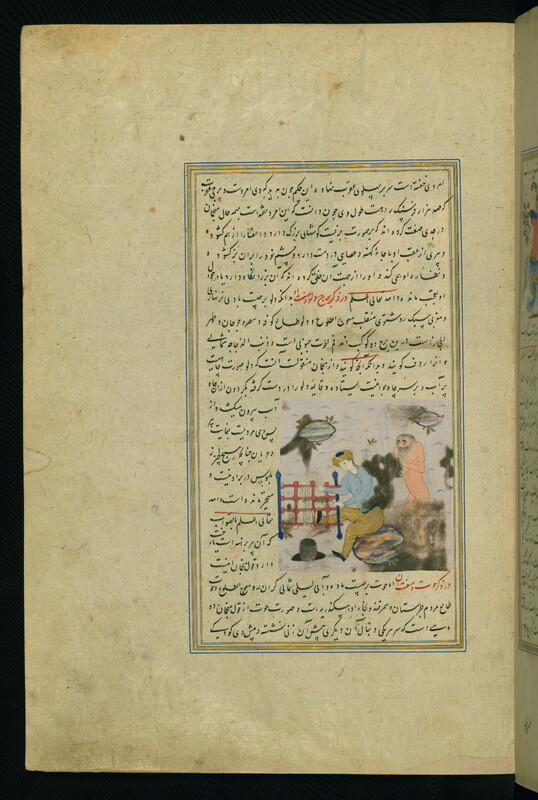 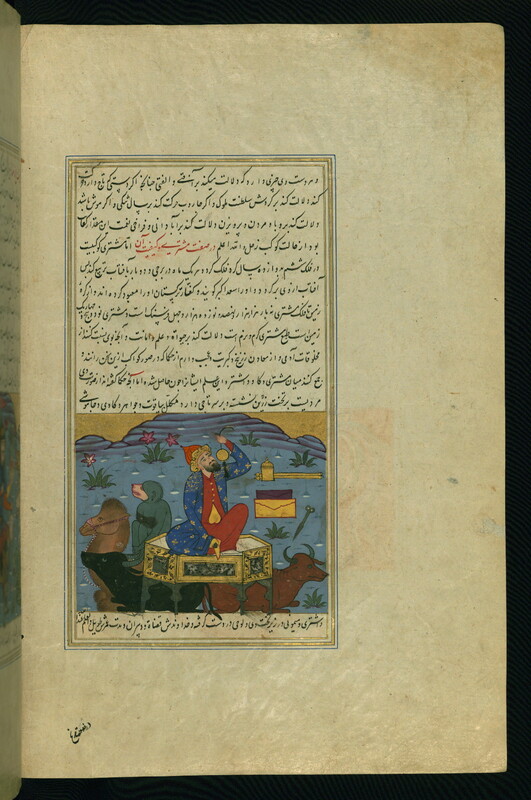 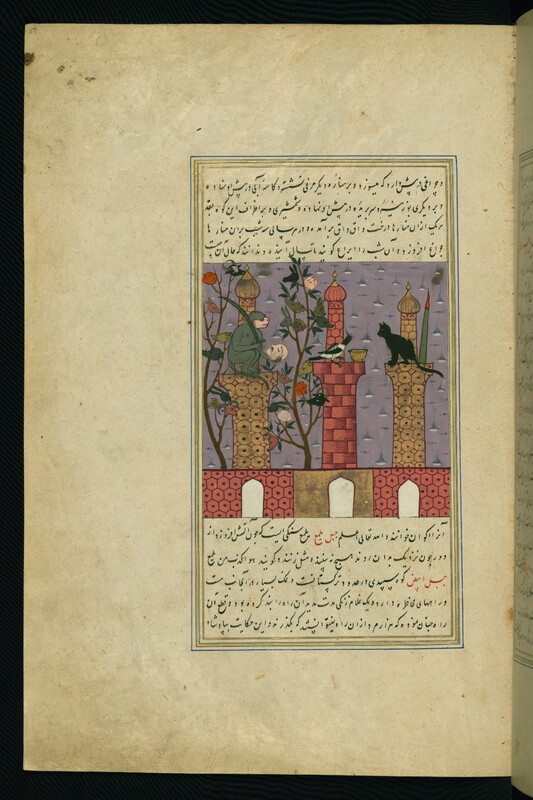 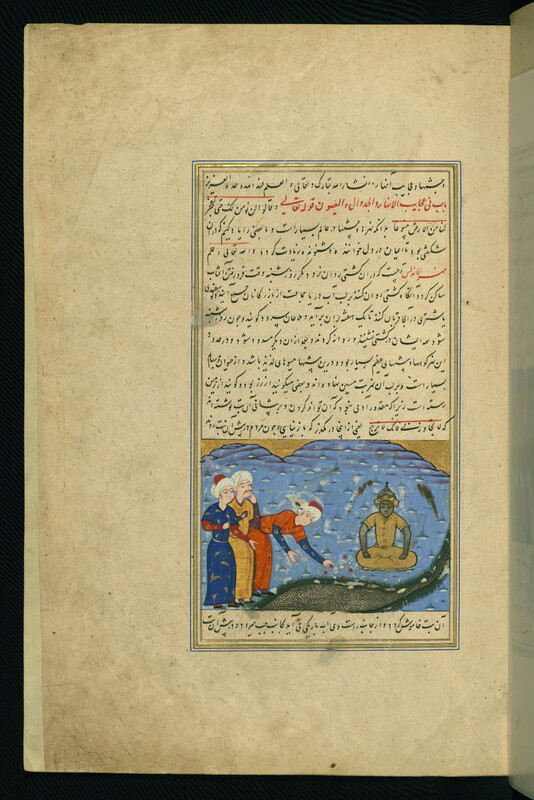 [this is a contradiction] The text, in black nastaʿlīq script, may have been written by an Iranian scribe in the tenth century/ sixteenth century in Ottoman Anatolia (Istanbul or Bursa ?). 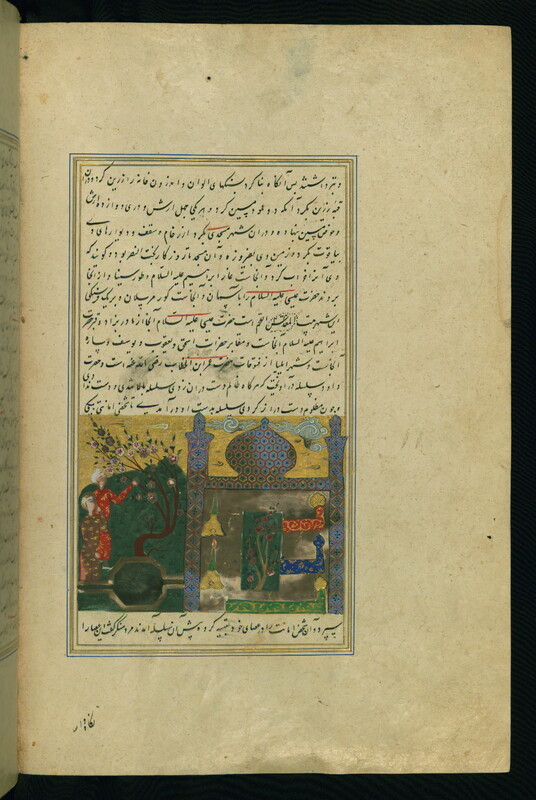 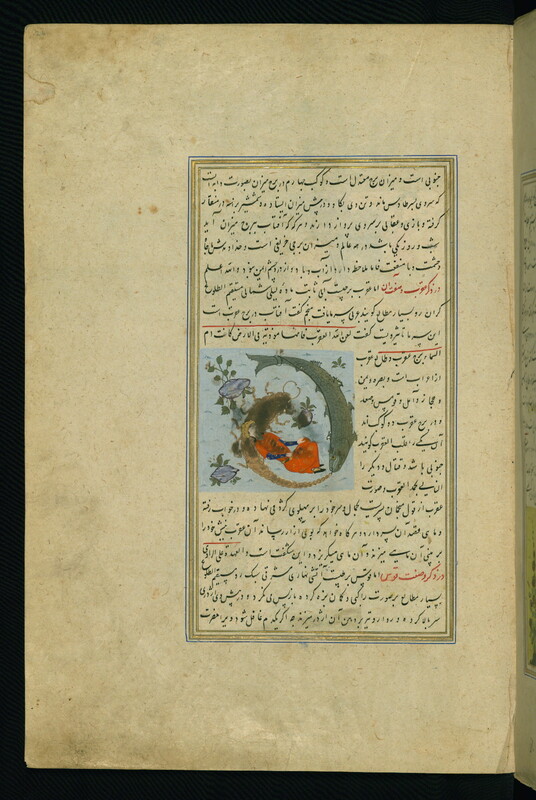 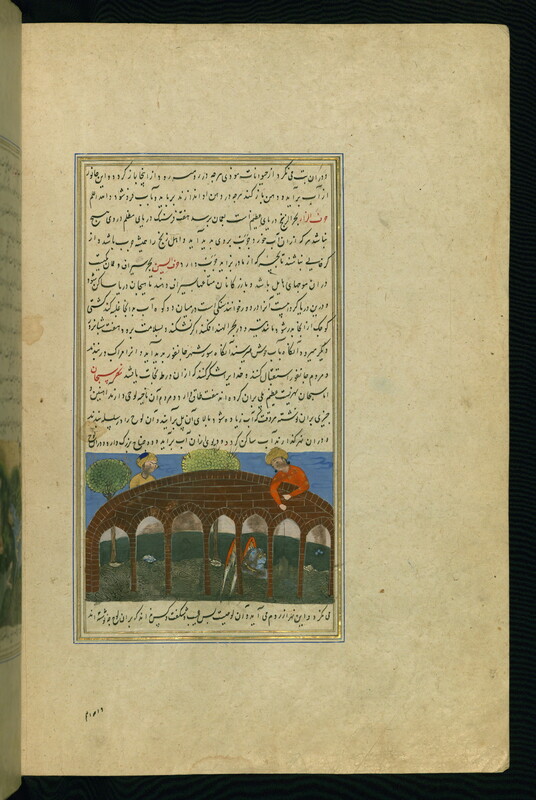 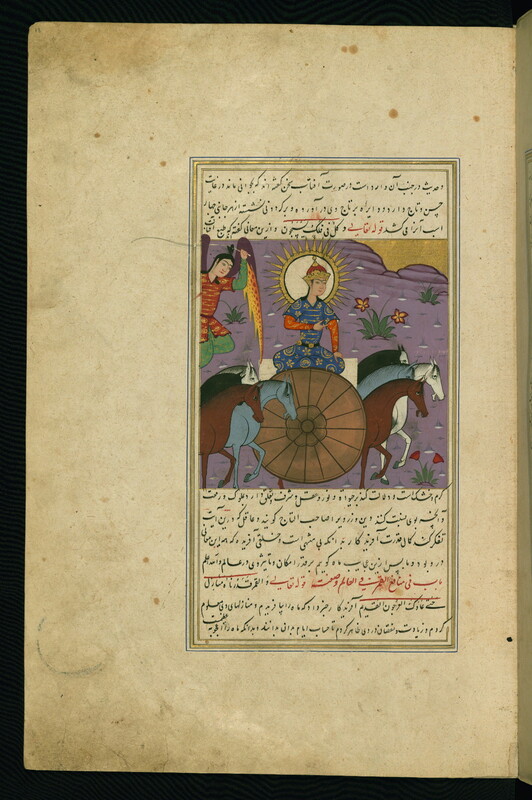 It opens with an illuminated medallion inscribed with the author's name (fol. 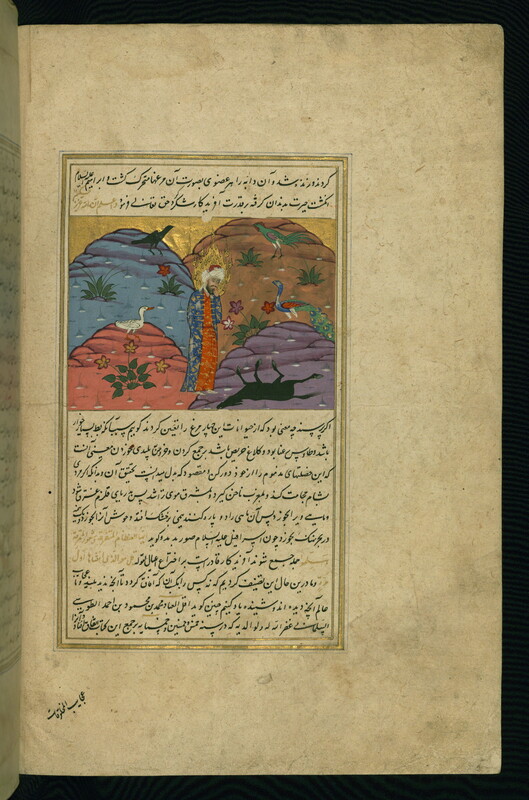 1a), followed by a double-page illuminated incipit (fols. 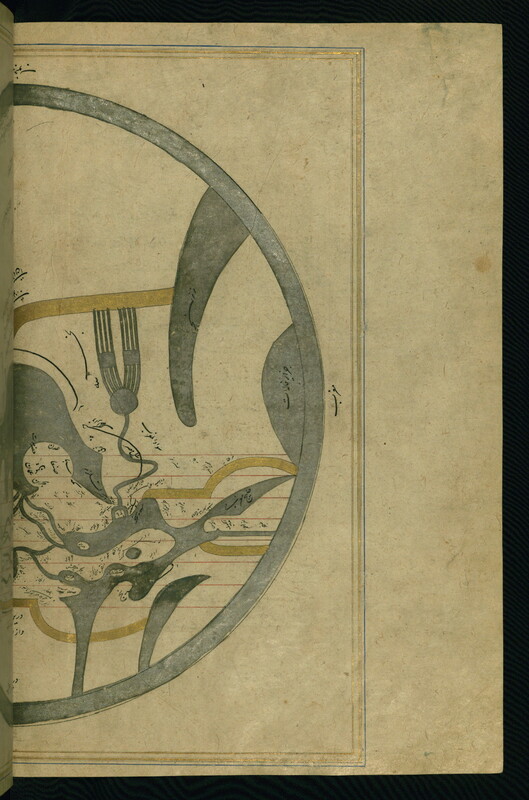 1b-2a). 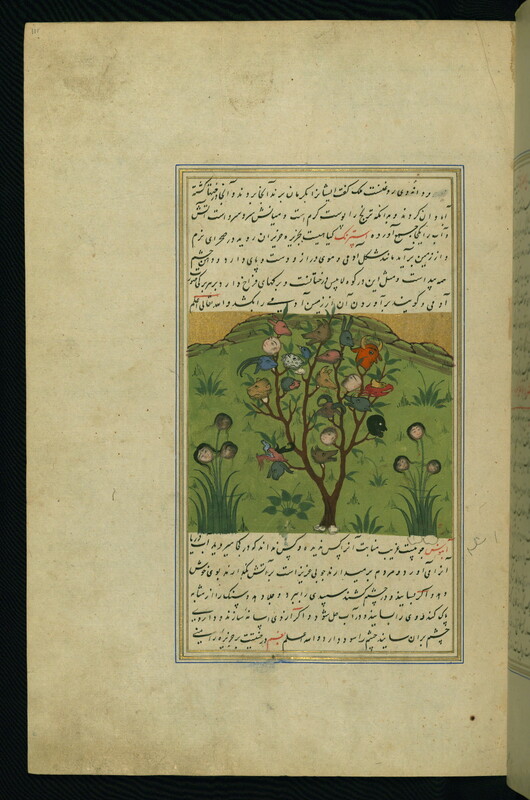 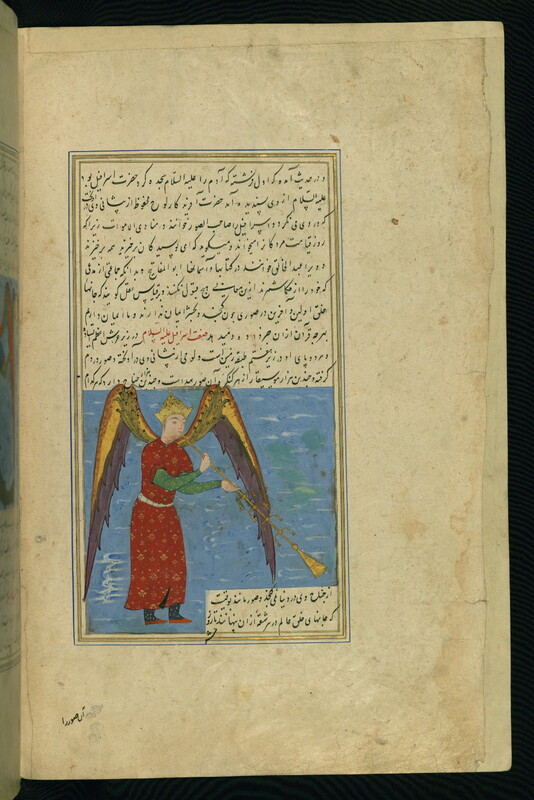 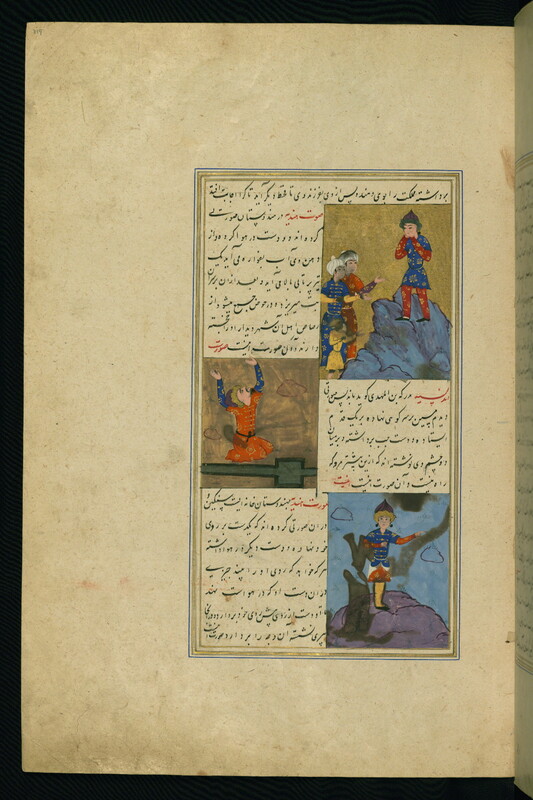 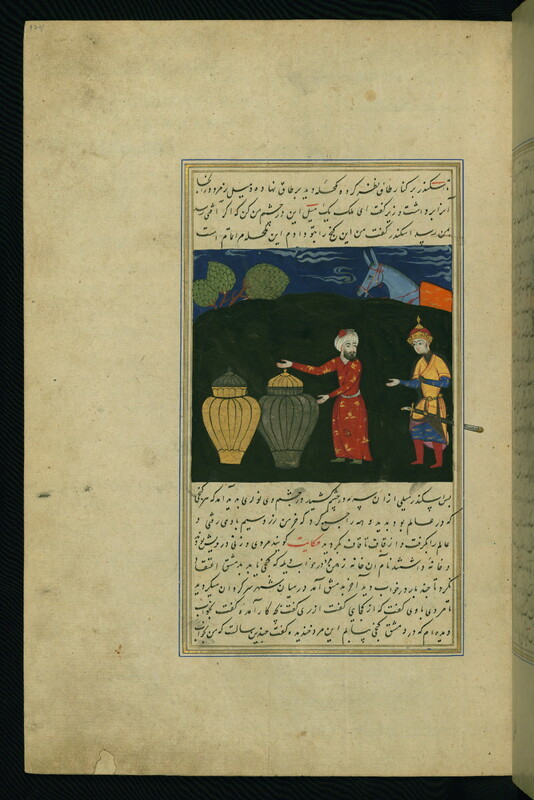 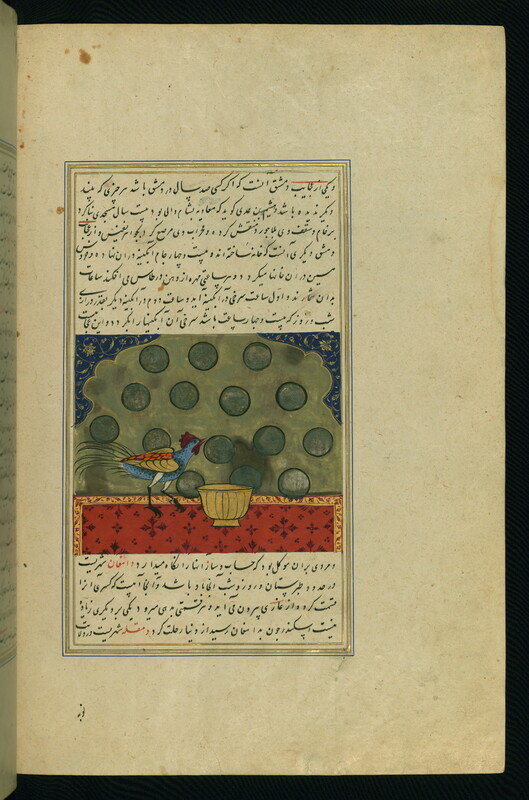 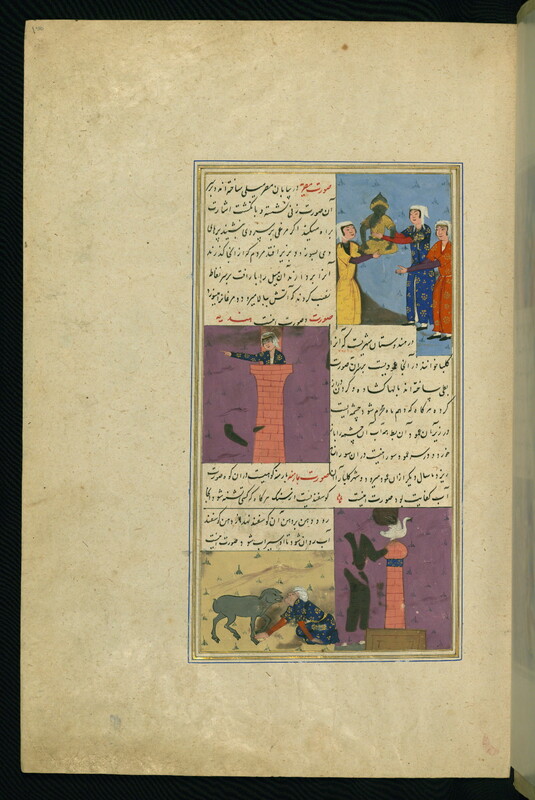 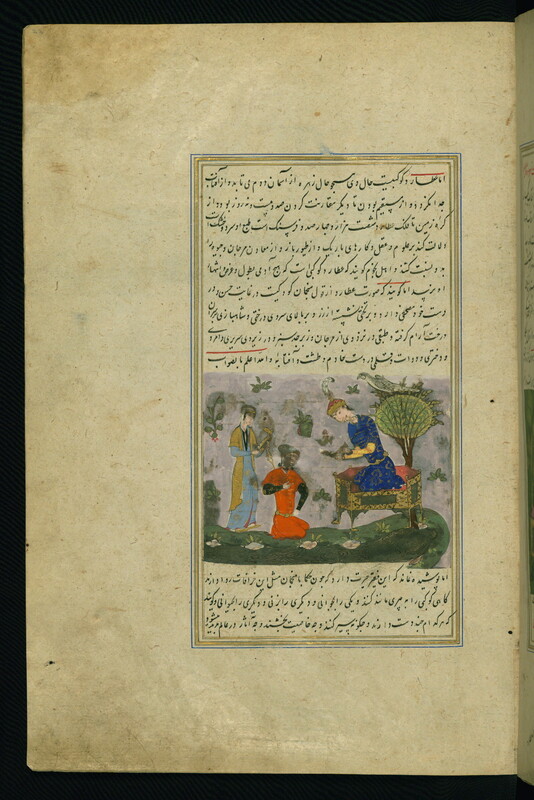 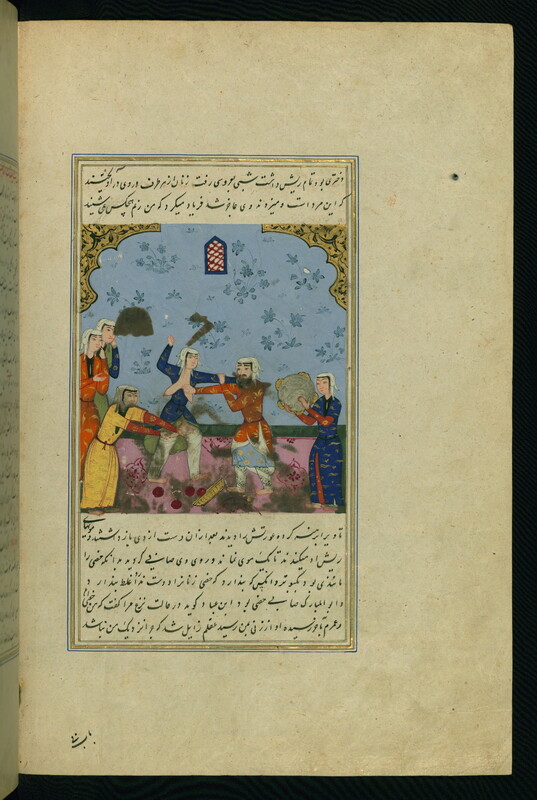 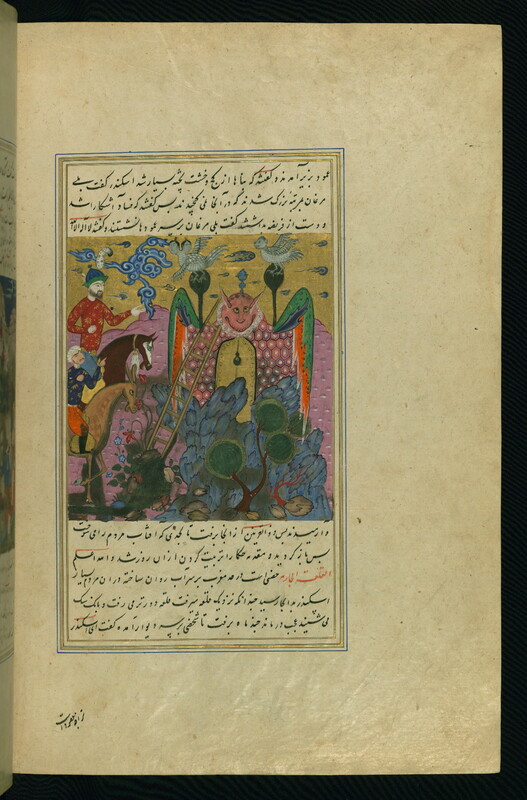 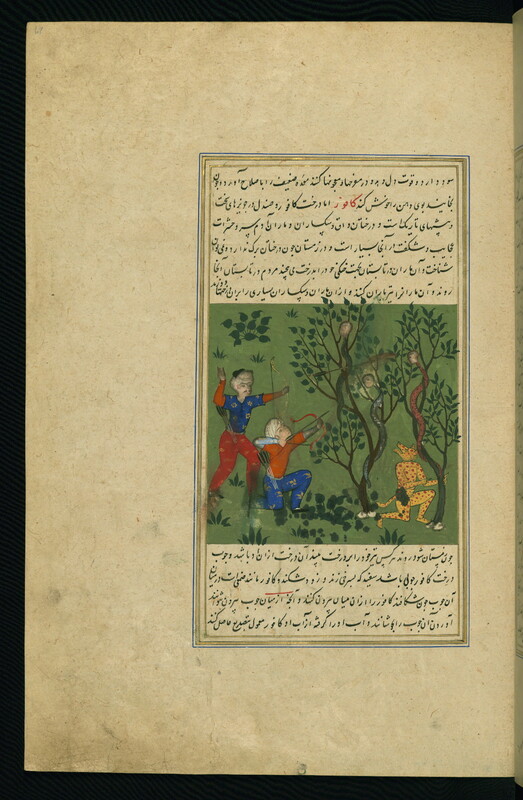 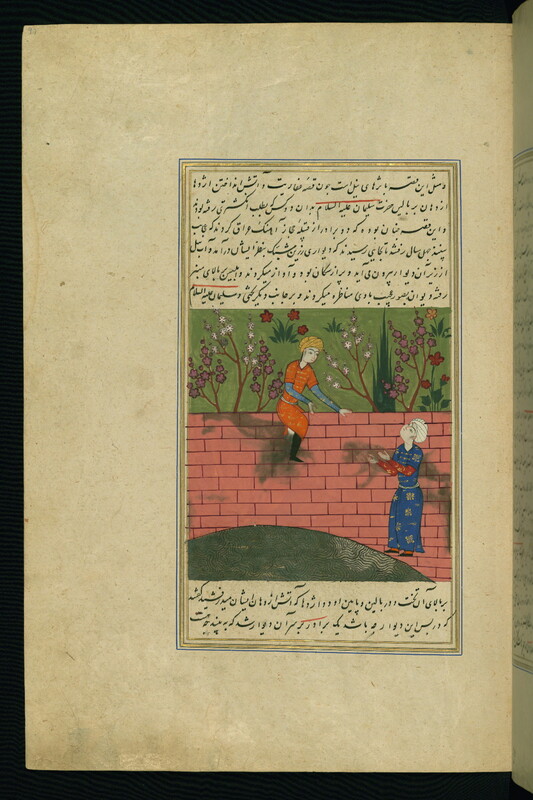 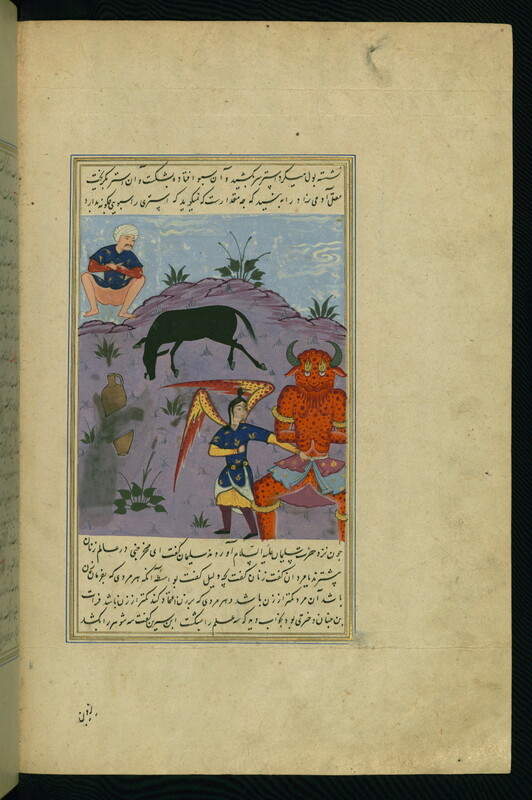 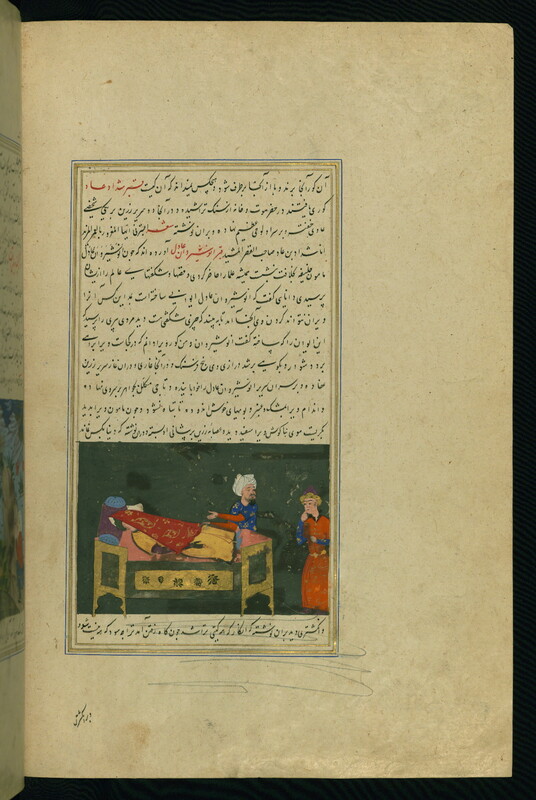 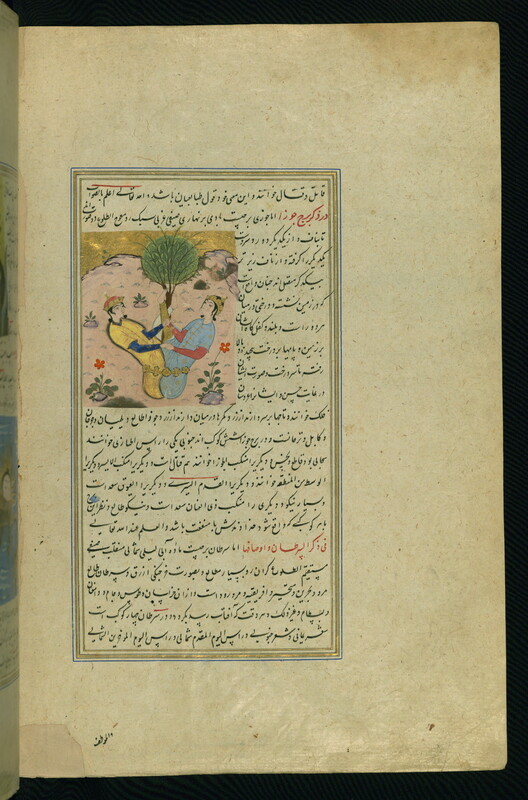 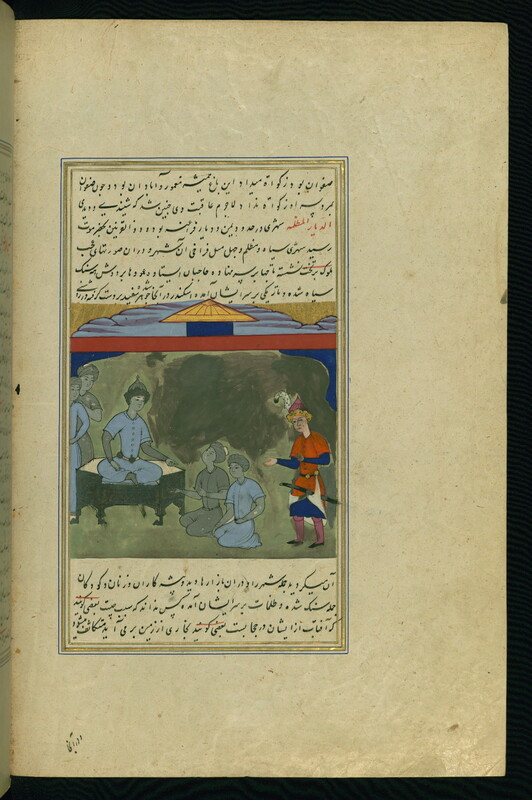 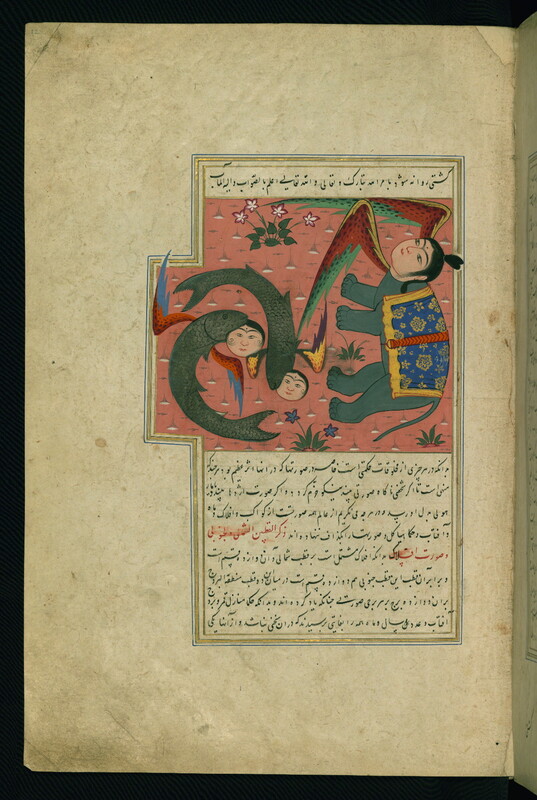 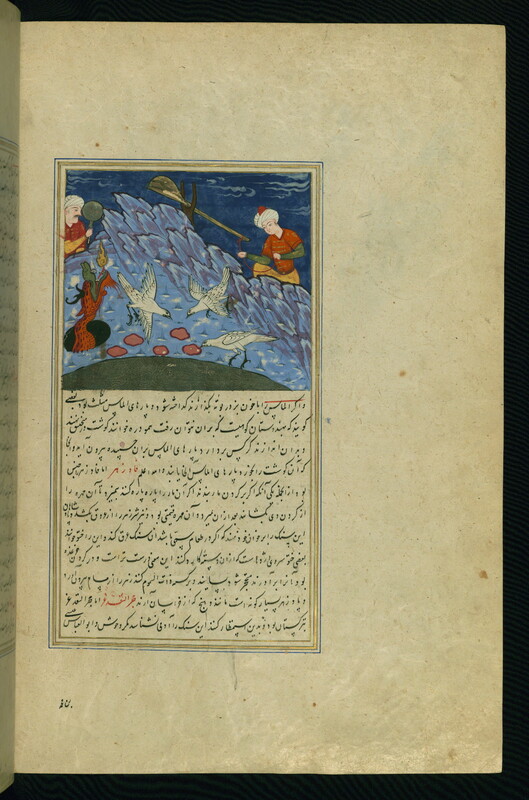 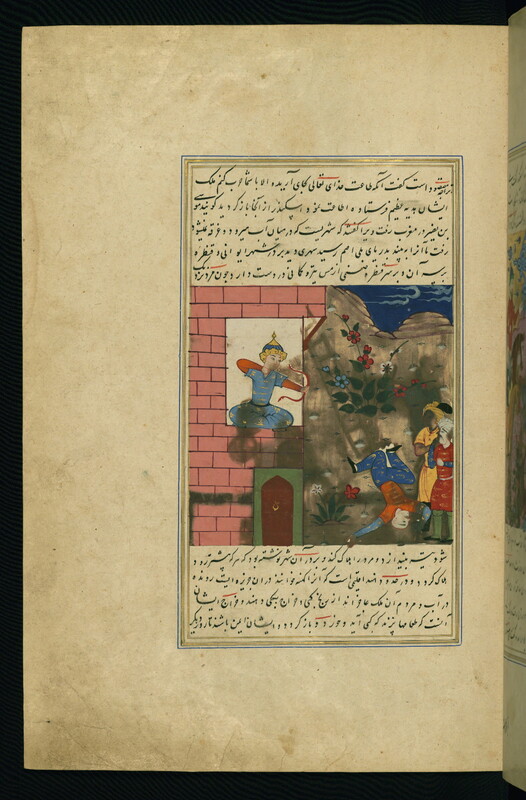 The text is illustrated with one hundred eighty-one paintings of different sizes that offer an interesting iconography for Ṭūsī manuscripts. 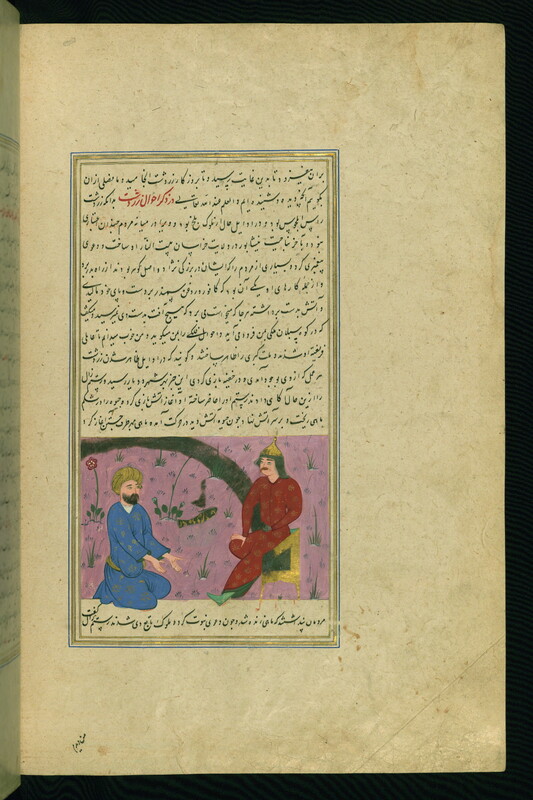 The red leather binding is not contemporary with the manuscript and probably dates to the thirteenth century/ nineteenth century. 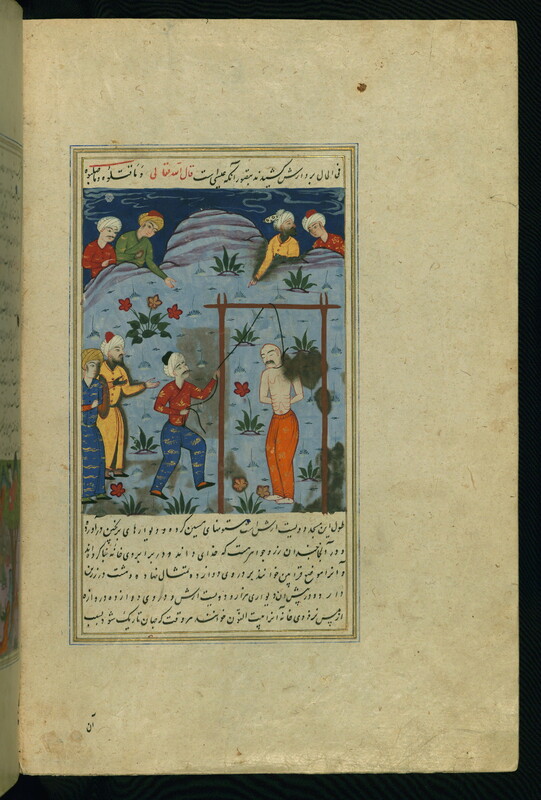 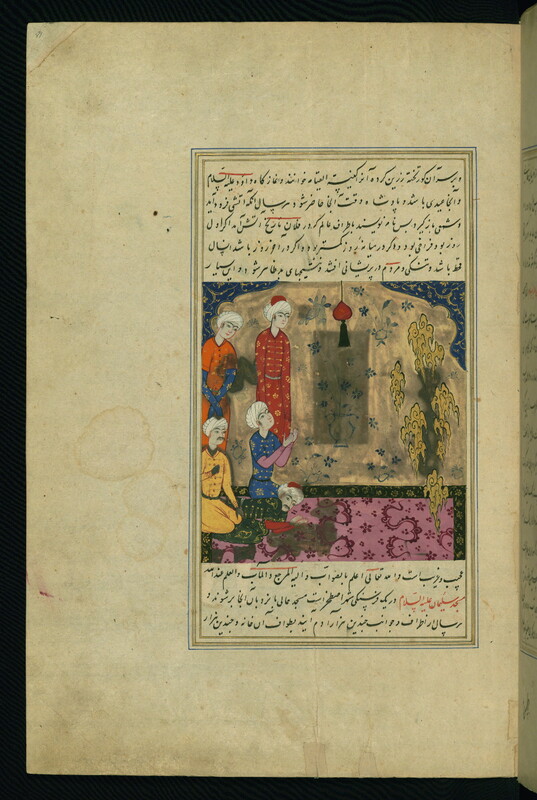 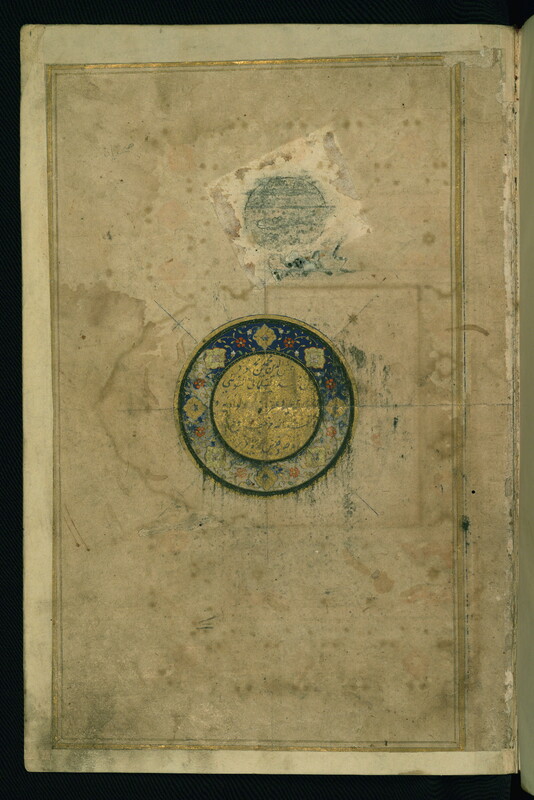 Label: This illuminated medallion is inscribed with the author's name, Shams al-Dīn Muḥammad ibn Maḥmūd ibn Aḥmad al-Salmānī al-Ṭūsī. 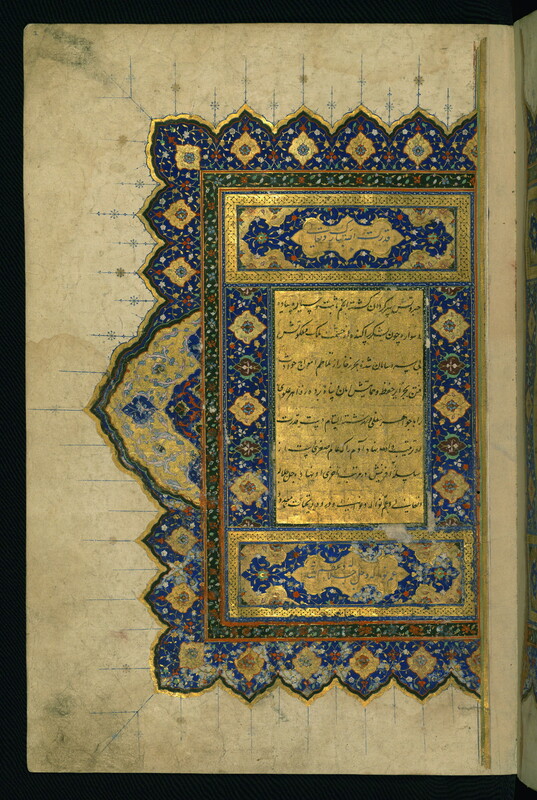 Label: This is the right side of a double-page illuminated incipit inscribed with the title of the manuscript and the first lines of the preface. 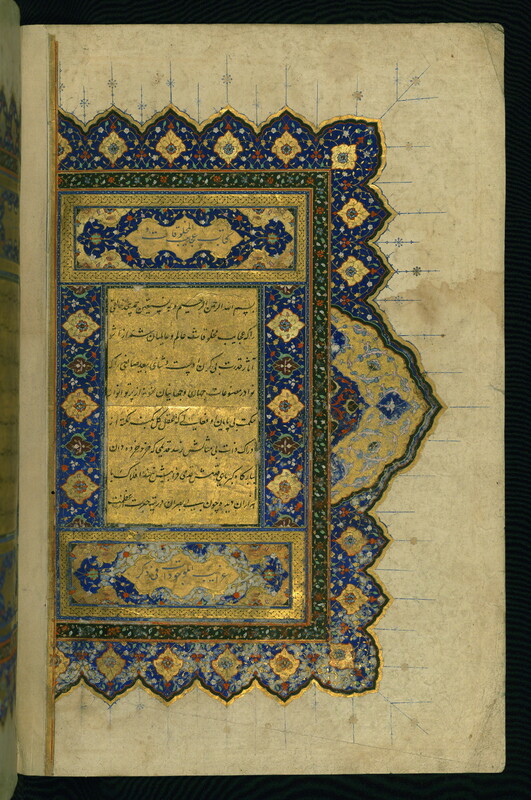 Label: This is the left side of a double-page illuminated incipit inscribed with the title of the manuscript and the first lines of the preface.